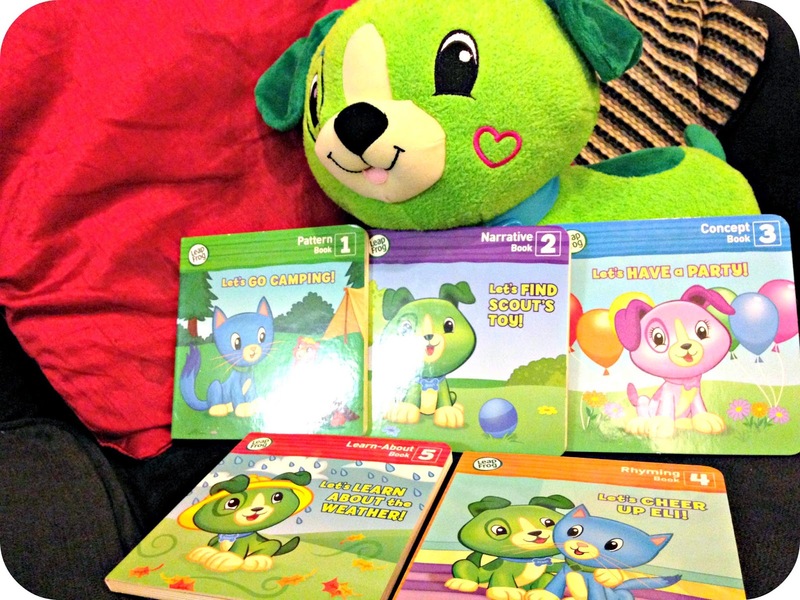 Over the years we have used a number of different LeapFrog Products with Leo, all items that we still use today. Favourites have always been My Pal Scout who put the biggest of smiles on Leo's face, and of course the ever popular LeapTop that Leo insists on using to be just like his Mummy. At the end of last year we even welcomed in a LeapPad Ultra into the fold, and that has been a great addition to our expanding LeapFrog collection. 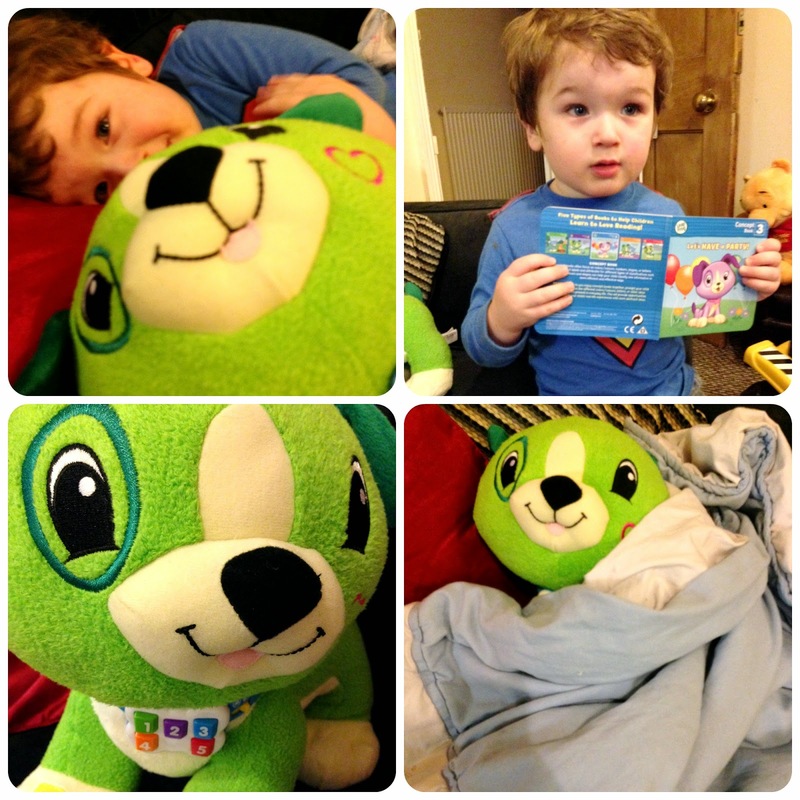 As a parent one of the greatest aspects about LeapFrog products for me, is how you can personalise them to your little one's. 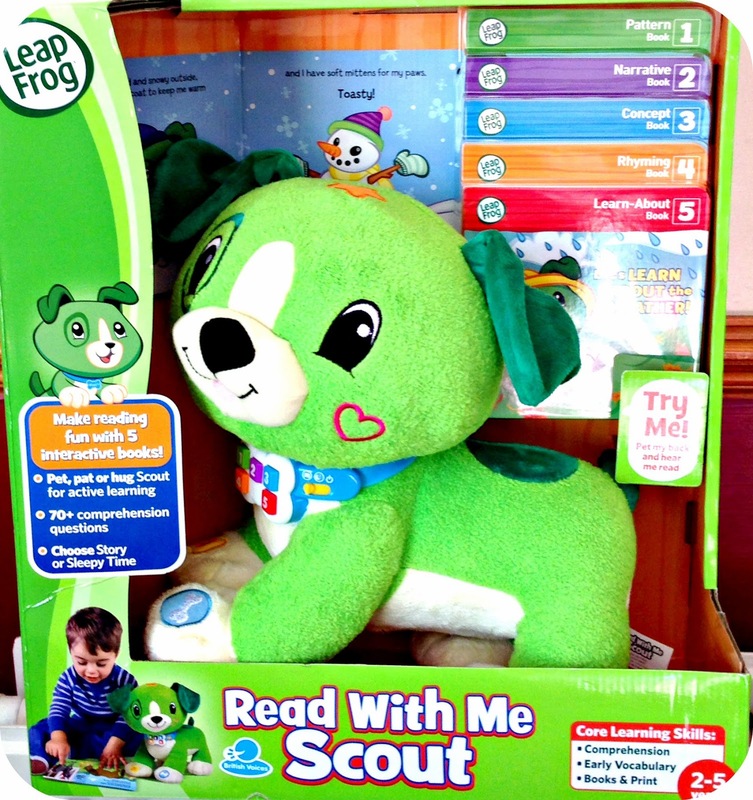 My Pal Scout and the LeapPad call Leo by name and interact with him on a whole other level to any other toy I could mention. 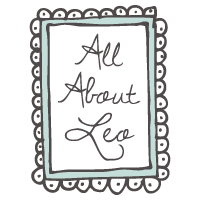 With Leo's 3rd Birthday coming up in June, I have been giving thought to gifts that you can present to a 3 year old. 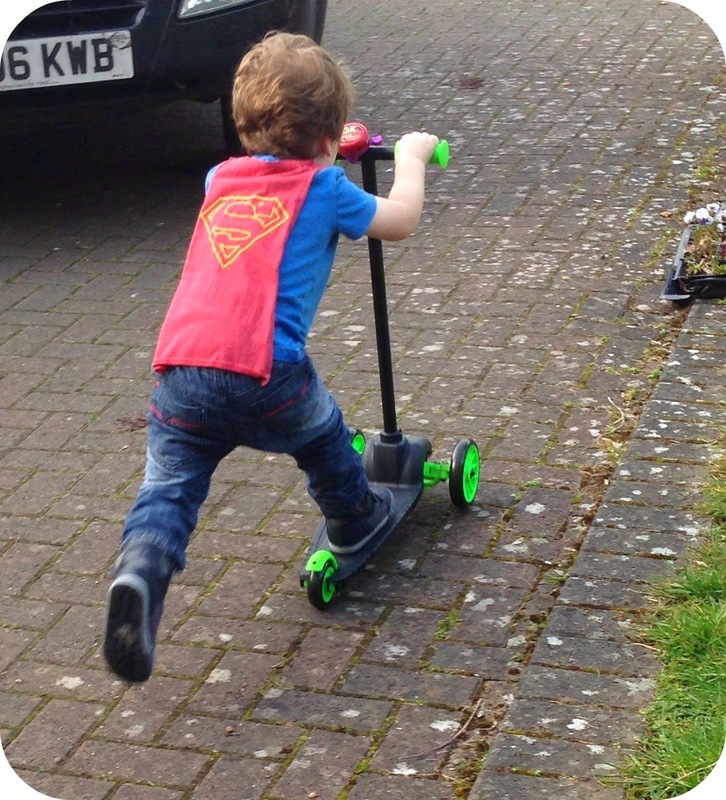 The age of 3 is an age of in between, the baby days are far behind and the toddler days are numbered, he is on the cusp of leaving his toddlerhood behind him. 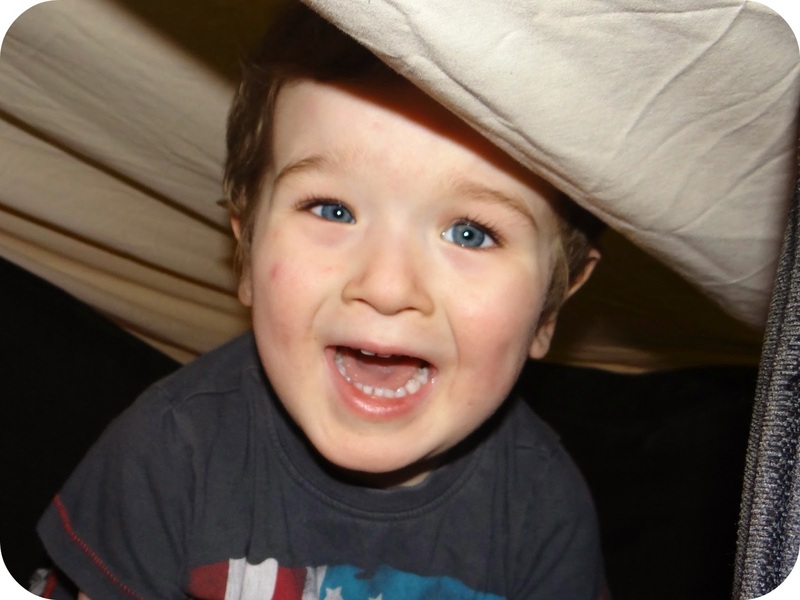 Turning 3 means that Leo will be in his final year before starting school, and beginning a whole new adventure. So what do you get for a 3 year old? Maybe the Read With Me Scout? The Read With Me Scout has been designed to help children aged between 2-5 years old with their reading. He's interactive, soft and fun to play with. Scout comes equipped with 5 board books, and he can read each of the included books. Each of the books is numbered 1-5, and it couldn't be easier for little hands to pick the book and set Scout up to read the book. All you have to do in order to get Scout reading the chosen book, is select the number corresponding with the book on Scout's collar. I am still helping Leo set Scout up to read the chosen book, but he is happy to assist and pat Scout on the head when it comes to turning the page over. The 5 included books help teach children different skills, from colours, shapes and numbers right through to different kinds of weather. The Pattern Book, "Let's Go Camping!" The Narrative Book, "Let's Find Scout's Toy!" The Concept Book, "Let's Have a Party!" In the Rhyming Book, "Let's Cheer Up Eli!" The Learn-About Book, "Let's Learn About the Weather!" Leo and I have been really enjoying our Read With Me Scout, we have been following the books along with Scout as he reads to us, and we have been having a look at the books cuddled up together. When Scout reads the books he asks questions as he goes to keep interest, and Leo is always more than happy to point out the answers to his questions. When you come to the end of each page with Scout he will tell you to give him a pat on the head to turn the page, this is a nice simple action that makes it easy for younger children to participate in. I really like the included books, and Leo already has firm favourites that he likes to have read to him. Let's Cheer Up Eli is one of the ones he likes to look at on a daily basis, he hates to see Eli sad at the start of the book and has been known to kiss the image to try and make her feel better. Leo likes the final outcome of the book where Eli finally has a big happy smile on her face again. Each of the books are board books, so there is no worry that little ones will damage the pages. Scout has a number of interactive spots, there are two on his head, one in the shape of a star and a heart on his cheek. Pressing these spots will generate a number of different phrases and sayings from Scout, such as 'Your nice! I like being friends with you!' and by stroking Scout on the back you will hear many more phrases. There are 2 final interactive spots on Scouts front paws, and by pressing Scout's left paw he will sing a number of different songs. By pressing Scout's right paw you can give him a high five and say Hello to Scout. If you have a look at Scout's collar, you will find the on and off switch. This switch allows you to alter Scout's mode, aside from the storybook mode you can actually put him into bedtime mode. This mode features soothing music and lovable phrases from Scout. The perfect combination to help quieten your little one down ready for bed after a bedtime story. So what do Leo and I think of Read With Me Scout? From a parent's perspective I have been really impressed, Scout is a great addition. He promotes learning, listening and is a great way to introduce reading to younger children. One of my loves for the LeapFrog brand is that kids can learn while they are having fun, and of course that is exactly when kids are paying the most attention! I knew that Leo was going to love Read With Me Scout as he still thoroughly enjoys his My Pal Scout. Leo has demonstrated a real love for the reading aspect of this toy, and is the perfect age to be getting the very most out of his Read With Me Scout. 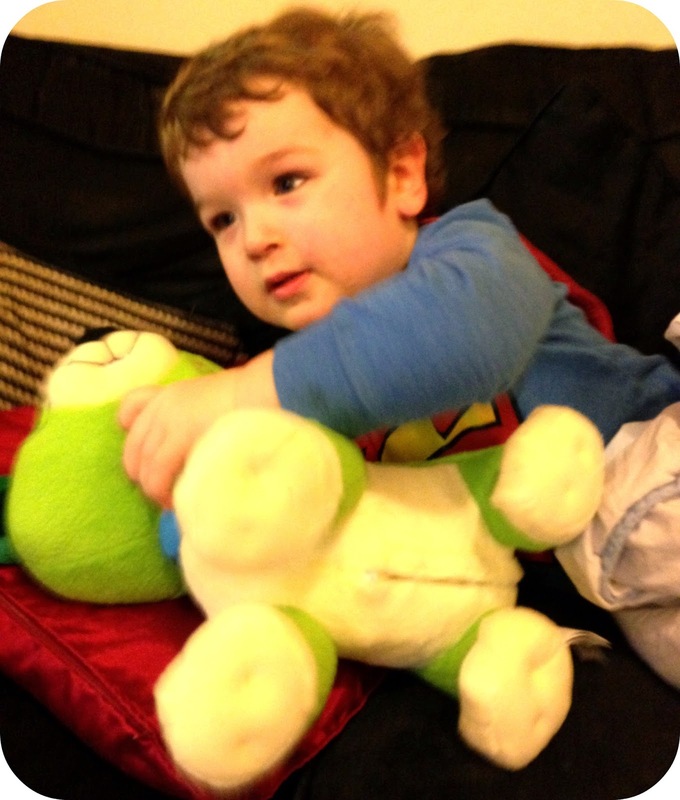 We would definitely recommend this toy, and we have been singing his praises to our close friends and family. 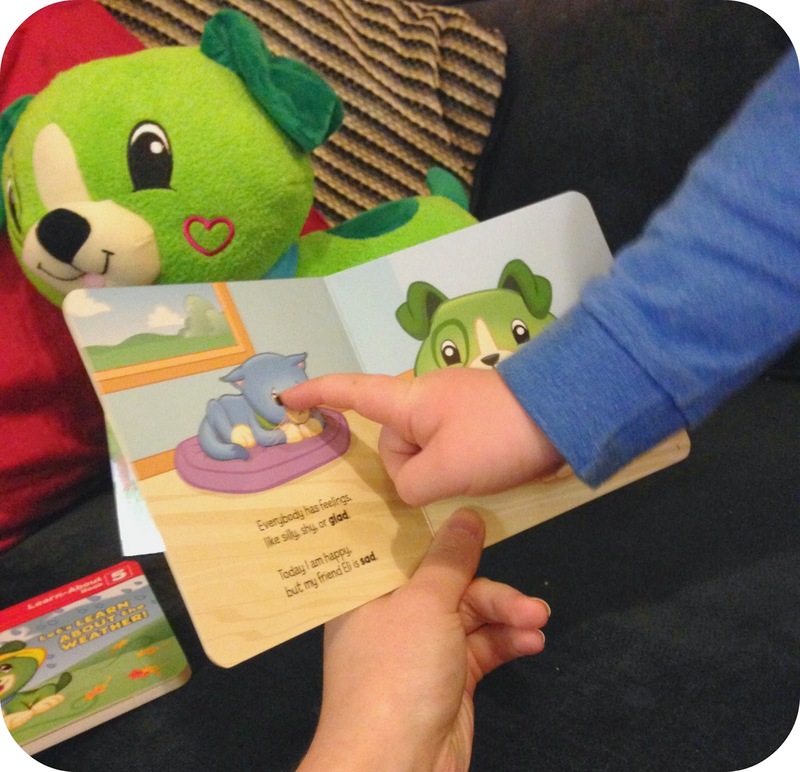 Scout makes story time fun and interactive, he really is a great addition for both learning and fun. Read With Me Scout retails at £29.99, but by purchasing at Amazon you can pick him up for £22.49 (At the point of writing this review). Disclaimer: We were sent the Read With Me Scout for the purpose of this review. All views and opinions are completely honest and my own. Today I experienced what I can only refer to as a 'Desperate Housewives moment'. You may be scratching you head and wondering what on earth I could possibly be talking about.. But those ladies seem to have all of the worst luck combined with the funniest of scenarios, and today I became one of them. Today I found myself relating to a scene from Desperate Housewives... The only difference was that I wasn't naked when it happened! As parent's we lug a lot of luggage around with us and it seems to accumulate into bags, bags and more bags! Especially on a nursery day when you even have a exclusive bag for just Leo, which 9 times out of 10 I will end up carrying. We had not long returned from Nursery, and we had headed back to Granny's house so that Leo could see everybody. We were the first back from the school run so we headed inside and decided to do some puzzles together. Suddenly I remembered that the lovely gifts Leo had made me for Mother's Day were still in the car, so I popped out to the car and closed the front door behind me. It was only after retrieving the items from the car I realised that I now had a problem. Trying the door I became aware that it was locked. In my haste to get outside I had swung the door shut and I had neglected to take off the latch! I called through the letter box, and I could see Leo sat on the stairs. 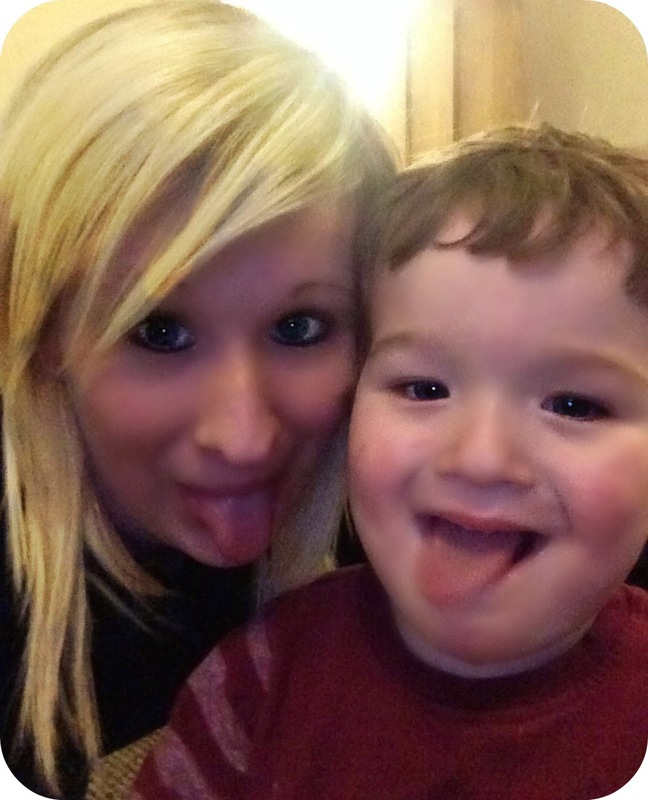 He had the biggest smile on his face, and it only got wider when I told him that Mummy was locked out of the house. My first thought was that it would all be ok, because my keys were by my bag which I knew was in the lounge on one of the chairs, Leo would be more than happy to pop in and get them for me. WRONG! Passing my instructions to the mischievous little man through the letter box, it became apparent that Leo had absolutely no plans to help me get back inside. In fact the mere thought of helping his stranded Mummy just made the laughter flow louder and harder than he was laughing before I asked. Seconds after asking Leo I had the letter box shut in my face, yet I could still hear my cheeky chappy laughing from his perch on the stairs. The perch he was using to sit and giggle at his silly Mummy from! I kept on asking for Leo's help, and he kept on giggling and chuckling away. I resounded to the fact that he was never going to help me, and just hoped that Granny would soon be back from the school run to let me inside! Luckily Granny was home within 10 minutes, and Leo sat as good as gold (if you ignore the giggling and lack of assistance) in my eyesight the entire time. I am just lucky that he didn't decide to use the lack of parental guidance to run a muck in the house. Thankfully I was soon back inside and could see the humor that was coming out of our situation. One thing is for sure though, next time I nip out to the car I will make sure to check that latch is up so I can get back inside! Because Leo sure isn't going to help me! 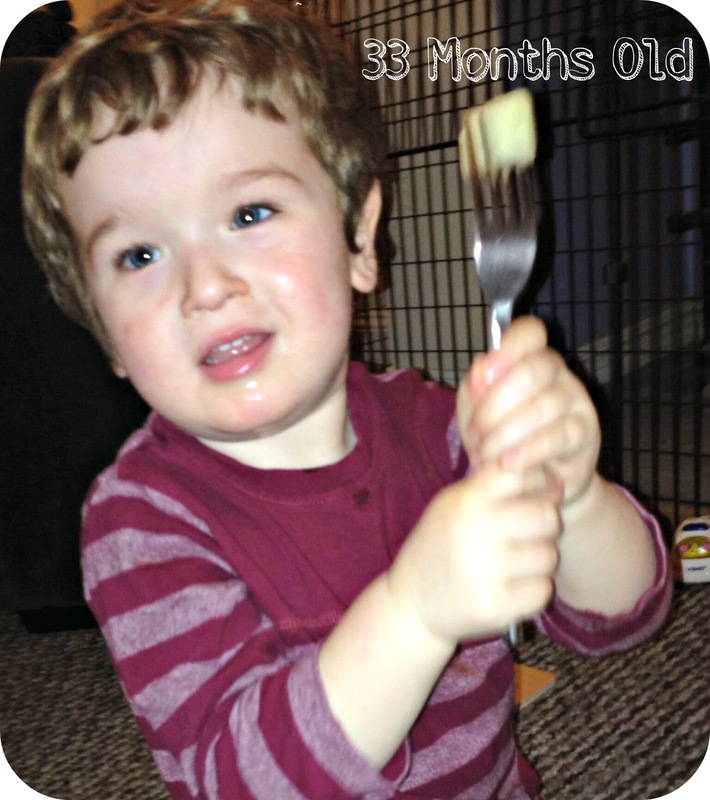 With yet another month under your belt, you are now 33 months old, and the reality of that means that your days as a 2 year old are well and truly numbered. 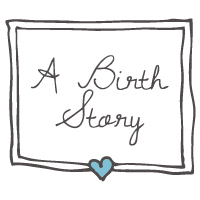 In 3 months’ time you will be turning 3, and we will enter a new year that will bring around so many more changes. In this month alone your words have been coming along all the time. You are still learning but what you are saying is more coherent and a vast improvement to only a few months ago. A simple shopping trip to Tesco together had you giving me my instructions to head down the toy aisle, only for you to find Toby off Thomas the Tank Engine. Toby was right at the back of the shelf so how you saw him I will never know, but you did. You told me ‘Toby choo’ and didn’t rest until I had pulled him out from the very depths of the shelf. You then decided to tell me ‘I want Toby, Pay yes!’ and clutched onto him for dear life. You seem to think that if you get what you want into the trolley, then it is fair game and we will be handing over the pennies. Going further around Tesco you pointed out and named all the different kinds of fruit and veg, then you spied something you really wanted. You saw the Mini Eggs! After this sight all I heard was ‘I want Mini Eggs please!’. You are still a Mummy’s boy through and through and were calling me ‘Mummy’ over ‘Mumma’ more and more frequently. Just hearing the way you pronounced ‘Mummy’ was one of the cutest things I had ever heard and I always smile when you say it. You are so affectionate, always giving me kisses and saying ‘love you Mummy’, and you even argue with me over who loves who more. Just the other night I told you I loved you, you said you loved me too. I told you I loved you more, and you told me that you love me more! It was a conversation that ended in giggles and tickles! You are going through a phase of taking all of your favourite toys and books to bed with you, I have to sneak into your room after you have fallen asleep and remove the majority of everything that you have safely tucked up into bed with you. Woody seems to be there every night along with a car or two, Iggle Piggle, Macca Pacca and Upsy Daisy are regulars and on occasion there is even a train. It was this month that we put you in for an extra session at nursery, you seemed to have lost your excitement about going over the last couple of weeks and we wanted to help you settle in properly. Now you were going to nursery on a Monday morning and a Friday afternoon, for the Friday session it meant that I could personally take you and pick you up which was an aspect that I liked. I wanted to know what you were getting up to at school and whether you were making friends, as you were always telling me that you had no friends at school when I asked. The first Friday session saw you clinging to me before I dropped you off, your little lip was quivering and you kept saying ‘no school’. At the gates you told me ‘ear hurts’ trying to pull the wool down over my eyes, and you clung to me even tighter when it came to me leaving. But upon picking you up the nursery staff told me how well you had played, and that you had been absolutely fine. You have taken to taking blanket to nursery but they have been putting it up out of the way not long after you arrive, and you carry on playing. The nursery staff seem to know you so well already as they know that your favourite toys are the trains. We are still no closer on the potty training front, I keep asking you if you would like to have a go at going on the potty. I tell you that if you decide to use it you may hear the music that plays. I have even told you that if you started using the potty then we may be able to get a very special treat for being such a big boy.. But so far you have decided you don’t want to, and I won’t push you to go as you obviously aren’t ready quite yet. That is one thing that has always been consistent with you little man, and you will only do something when you are really ready for it, but when you are ready you go at the latest challenge full pout. So I am not worried, you will use the potty when you are good and ready, and you will let me know when that time has arrived. 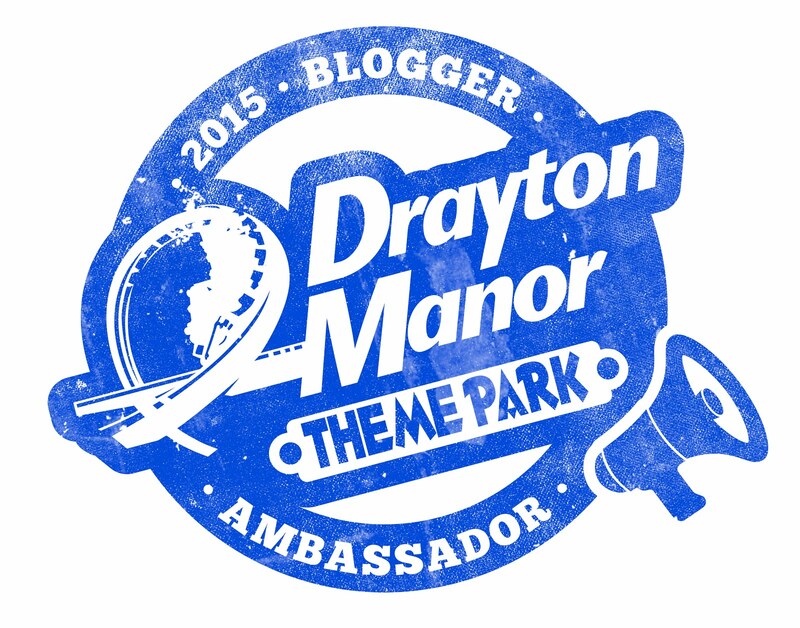 For now though… We are heading into month 34! I wonder what this month will have in store? 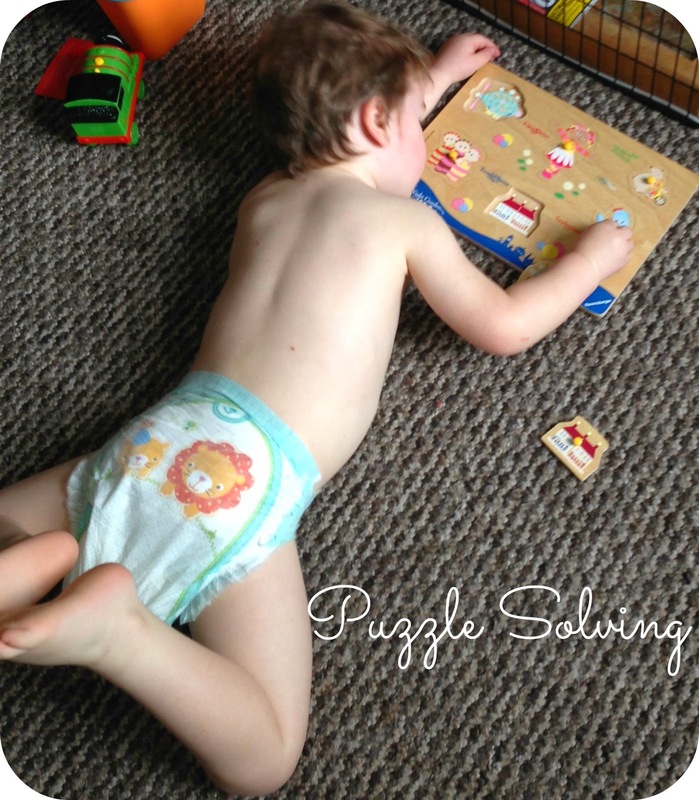 Having a toddler still in nappies we are pretty switched on when it comes to which nappies we are comfortable using. 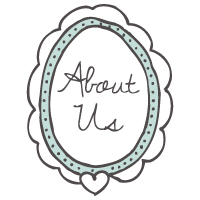 We have tried a few different brands over the years, but we have always stuck with one, and that is Pampers. 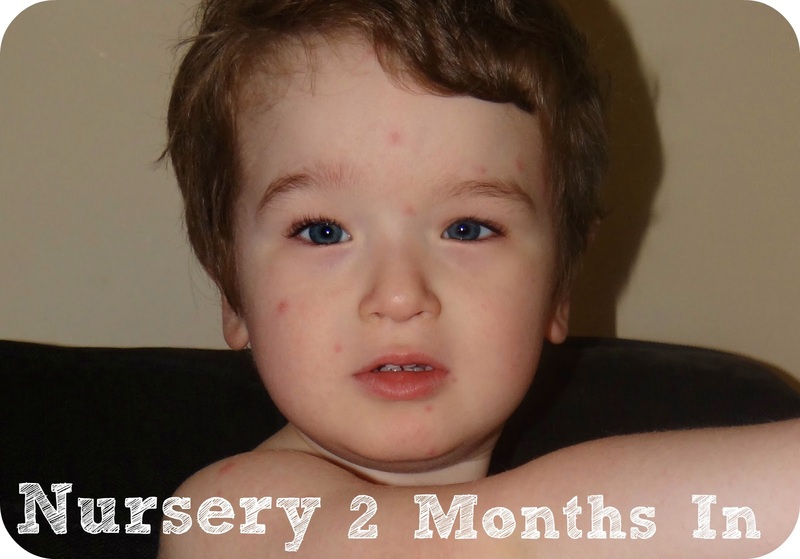 We have only ever had one case of nappy rash that has caused Leo any dis-comfort, and that was during a case of illness. 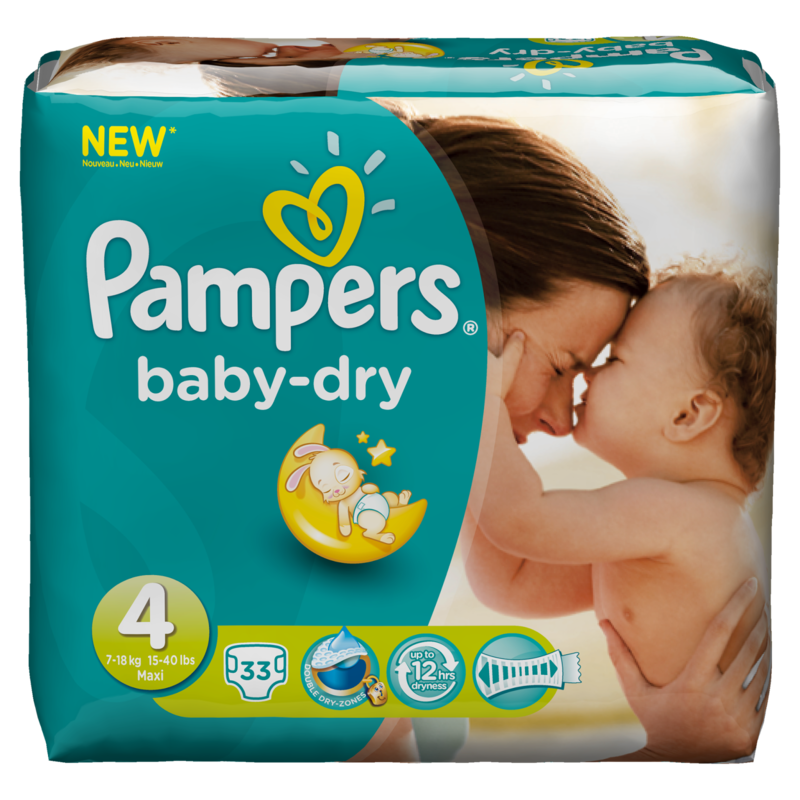 I am sure that using Pampers and changing Leo regulary has played it’s part in this, and that is precisely why we still use them today. Last February I was lucky enough to go to the Pampers Factory in Frankfurt to see last years development on the Baby Dry range, it was here that I learnt all about the research and technology that goes into each of their nappy products. I couldn’t actually believe my eyes and was balled over with just how clever nappies really are, I know before I had seen the testing and everything else that is involved, I took being able to use disposable nappies for granted. You can read all about my visit to the Pampers Factory here. Pampers have been busy again and packing more into their Baby Dry range, and the nappies now boast unique Double Dry-Zones. This means that they absorb moisture and lock it away quicker than ever before. The Top Zone absorbs the liquid quickly in order to get it away from the babies skin, and the Inner Zone locks it away so that it can’t resurface and thus keeps your little one dry. But now there is the New Soft Dry Layer, this enables all over absorbency allowing liquid in all directions. The other month we were sent a sample of the new nappies to try out with Leo, and as usual we have been nothing but impressed with our Pampers experience. Leo’s skin is clear and soft, and 9 times out of 10 we don’t get any bed time leaks come the morning. Of course Leo is a little guzzler and we have had a few occasions where he has even managed to over flow a Pampers Baby Dry, but for the most part this isn’t the case. Pampers have even re-designed the graphics on these new nappies, and we now have Lion and Friends. These have been welcomed by Leo, and it may explain the constant roaring come time for a nappy change! Disclaimer: We were sent a sample pack of Pampers Baby Dry for the purpose of this review. All views and opinions expressed are completely honest and my own. 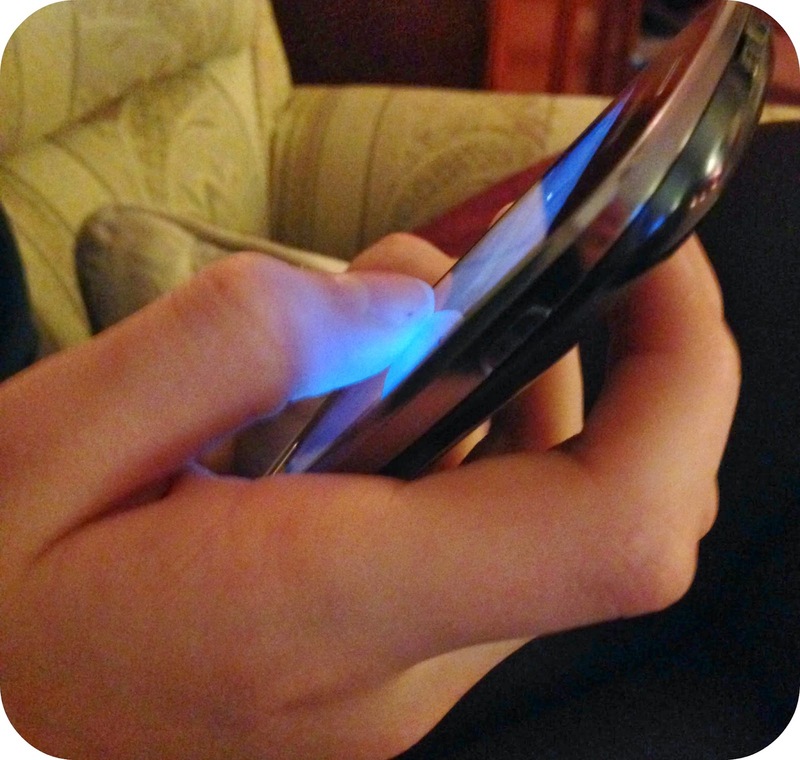 When would you let your child have a mobile phone? It is only 12 years since I was the same age as my younger sister is now, 12 years old. In that period of time, so much about the world has changed. Kids seem to grow up a hell of a lot faster these days, and I know that when I was 12 I was still a child. These days kids are old before their time and this reflects in how they talk, how they dress and the technologies that they have available to them. When I was 12 I wasn’t allowed a mobile phone, and the phone models available then don’t compare to the ones available in the here and now. My younger sister Alice on the other hand is a completely different 12 year old to how I was all of those years ago. Our parents have mellowed in 12 years, they are happy for her to have a mobile on Pay As You Go because they want the option of being able to keep in touch with her for any reason. 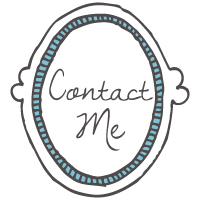 It gives Alice the flexibility to keep in contact if for any reason she needs to speak to a member of the family. Maybe she has been out and missed the bus home and needs picking up? Maybe she is going to be late and needs to get in touch so that no one worries about her. Whatever the reason it is great to know that she has the means to get in touch regardless as to whether or not she has money to use a public payphone. 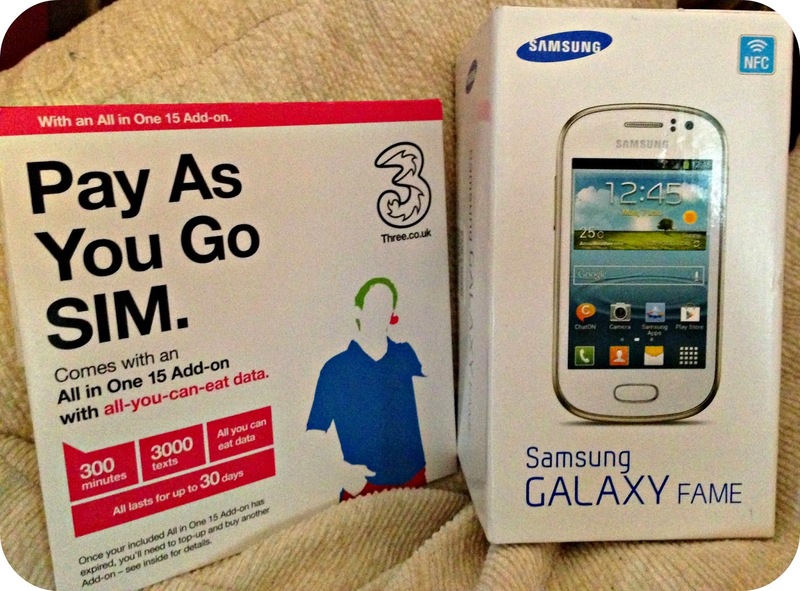 Alice has been using the Samsung Galaxy Fame for the last couple of months on a 3 mobile tariff. Pay As You Go has changed so much since I last used it, and in reality the packages available are more like having the benefits of a contract phone without the contract. 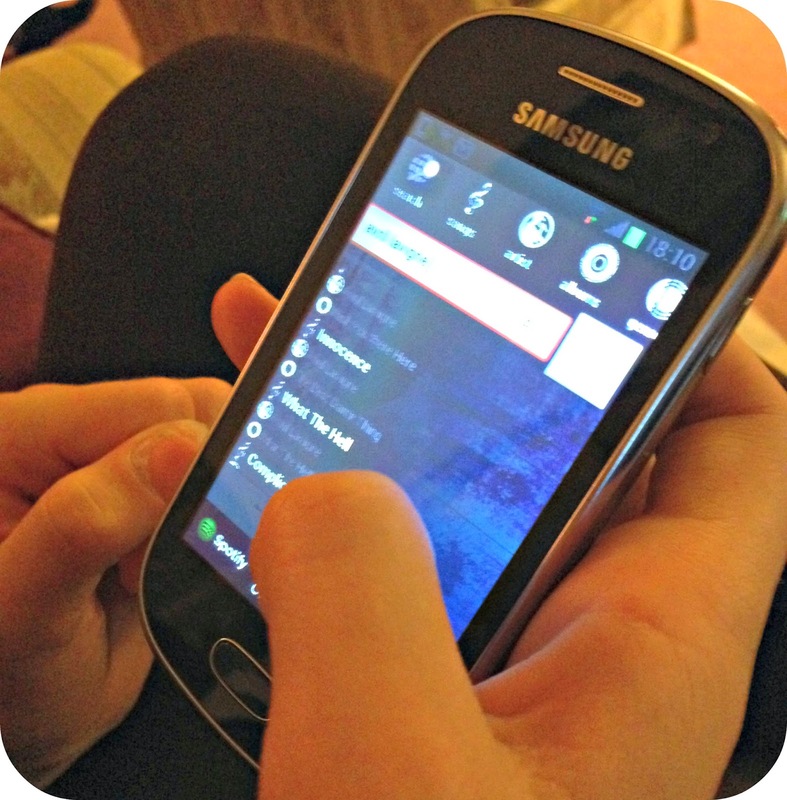 Alice can top up £15 a month and benefit from all you can eat data, 300 call minutes and 3,000 texts. This bundle lasts for 30 days and guarantees that she always has the means to get in touch. Alice has been raving about her Samsung Galaxy Fame, she loves the camera and being able to personalise all of her screens. She has access to a wide range of different apps and has even invested in a new case to keep the phone safe. The Fame phone offers an affordable Pay As You Go phone option, retailing at £99.99 and combined with the monthly bundle, it makes it realistic alternative to a contract and there is now worry about Alice raking up a bill. 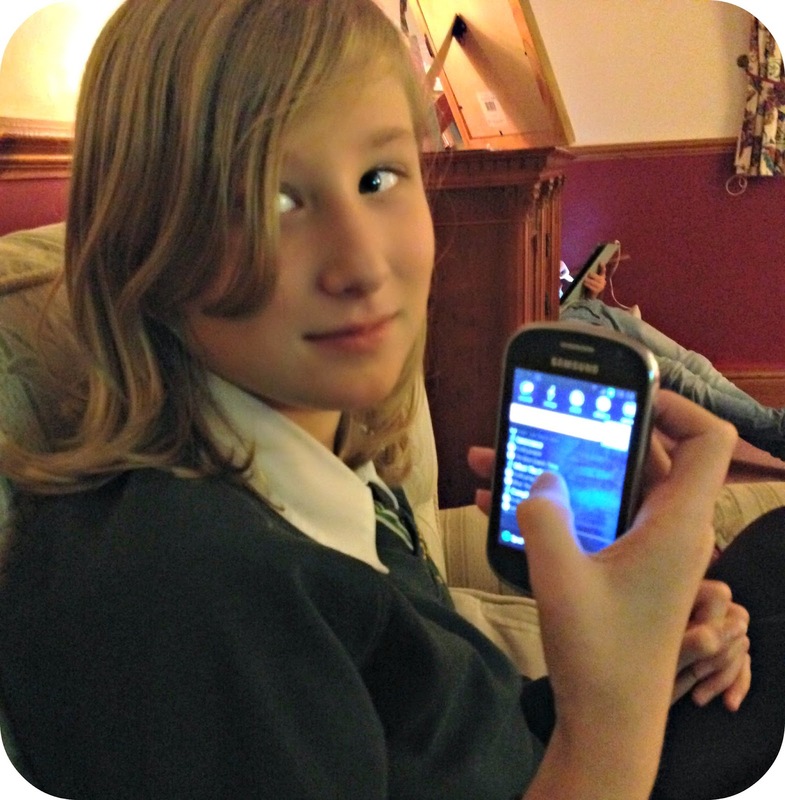 In my personal opinion I think it is important for older children to have a mobile phone, we live in a digital world and rely so much on mobile communications. In the instance of a family emergency and you need to rally everyone together, it is reassuring that even if you are not all together you can still reach one another. In a time where you are giving your children more independence and they begin to go out with their friends on the weekends, I think is a great time to begin to consider the potential options. Believe it or not, when I was given that initial independence where I could take a walk into town or go to the local cinema in a evening.. My Dad handed me a Walkie Talkie. An actual Walkie Talkie. Suffice to say I was the only child with one, while everyone else had their very first mobile phones… I was cradling a Walkie Talkie! When did you get your first mobile phone? And when would you allow your child to get one? Disclaimer: We were sent the Samsung Galaxy Fame for the purpose of this feature. All views and opinions expressed are completely honest and my own. Leo has always loved his cars and trains, anything that he can push along and enjoy imaginative play with gets a big thumbs up in his book. I noticed that he wasn't really that bothered by puzzles and jigsaws, and it was something that I wanted to try and change. I presented him with a number of puzzles that we have around the play room, and noticed that as soon as any frustration came around he would just dis-regard the puzzle in favour of something else. What I wanted Leo to do was look at the pictures on the puzzle pieces and build up the jigsaw to reveal the completed picture. Of course I am on hand to help, and it is something we have been sitting down together and doing, I have been really trying to show him how enjoyable they can be. 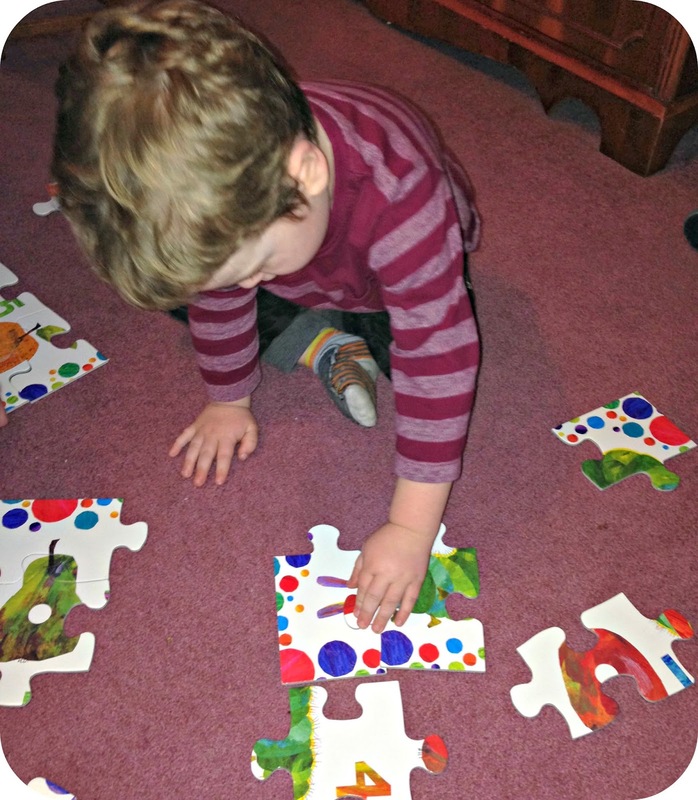 We were recently asked if we would like to have a play with the Ravensburger Hungry Caterpillar Puzzle, and after having a look at it I thought it would be a great one to try out with Leo. The very first time we put the puzzle together we were helped by Leo’s Auntie Alice, and although Leo was just putting any old pieces together he was having a great time. I showed him the pieces that were supposed to go together and how they joined up, and then I let Leo actually join them. He had a few moments where he got frustrated but the more we have played with it the more he is willing to listen to instruction. 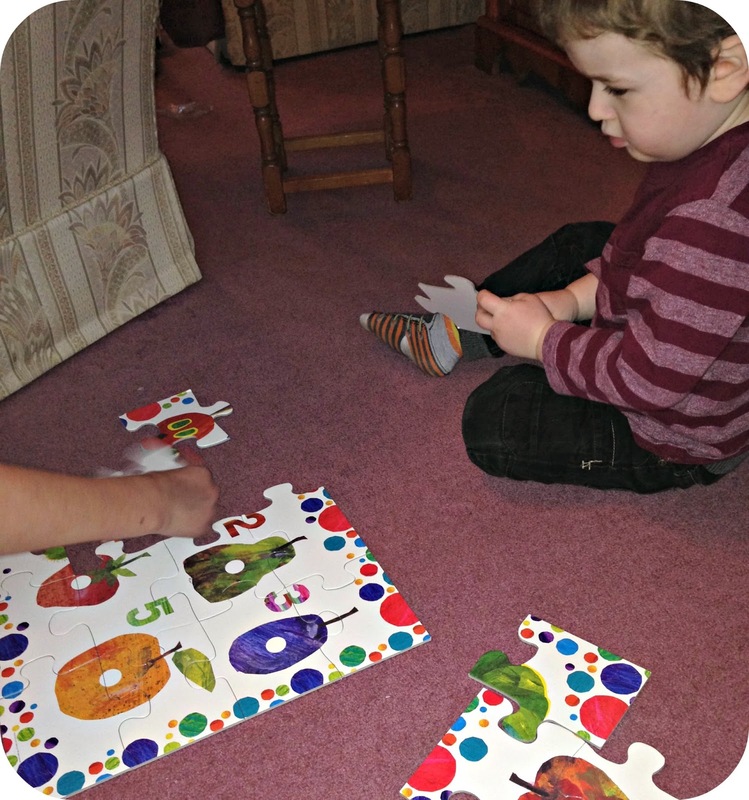 Leo loves to see the completed puzzle in front of him, and likes to point out all of the different fruits. In our house the Hungry Caterpillar is actually known as the ‘fat caterpillar’ thanks to Leo who has actually re-named him. 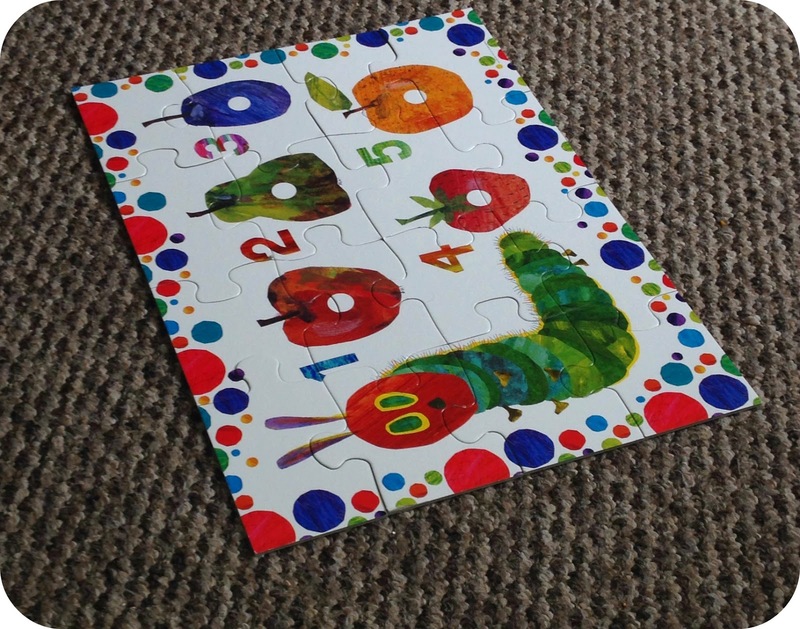 I really like this puzzle and think it is a great addition to the puzzle box, it is suitable for children 2 years plus (Leo is 3 years old in June) and shows all of the fruit that the caterpillar eats on his travels just as it is in the book. What I really like about this puzzle is that the jigsaw pieces are really strong, we have used puzzles in the past where the edges fray within a few goes of using them, and before long they don’t fit together as they should. These puzzle pieces are made from super thick double laminated card, and for Leo and I this really makes a difference. Leo can lose his patience and sometimes the pieces do go flying if he can’t get it quite right…So for Leo these jigsaw pieces are great as they are more forgiving. The puzzle is nice and bright giving little ones lots to look at, and upon completion offers a visual treat of one of our favourite books. It retails at £8.99 and is available to purchase from Amazon. Leo and I really like this puzzle and are continuing to use it to help Leo get into his puzzles. Disclaimer: We were sent the Ravensburger Hungry Caterpillar Puzzle for the purpose of this review. All views and opinions are completely honest and my own. Travelling with kids is not always simple. Of course, spending some time together with your family, away from your daily routine, can be a very fun and rewarding activity, but it takes a lot of patience and organization. Kids are different from adults and might not like what you like, so you need to keep them busy and prepare them for the journey while you are still at home. I previously wrote a post about preparing a two year old for a flight and today, I would like to talk again about preparing your little ones for a journey. I am sure that following these simple rules will help you to enjoy your family vacation with no added stress. Planning is the secret for a successful trip with kids. 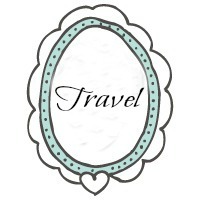 Choose your destination, find a cozy place to stay and create an itinerary and do it beforehand. If you’re thinking about going to sunny Italy this summer, which is in fact a very child-friendly country, you might reserve your accommodation for instance in Rome on online platforms like this one. Read through reviews written by families, look for baby-friendly options with extra beds and activities for kids, to keep your children entertained and have some time for yourself to relax and enjoy the time off. Show them pictures of the place you have chosen, so that they know where they are going and what they can do there to make them curious and look forward to it. Children don’t understand why you are so excited about seeing a place, unless you explain your reasons to them. Share your interest and make the activity sound fun and enjoyable. 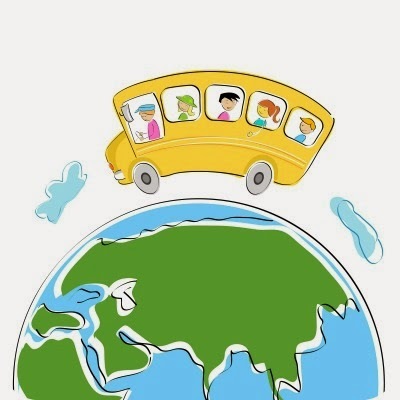 Tell them where you are going and what you are going to do, show them some pictures of your destination on a book or its position on a world map. Talk to them about what you are going to do and see, explaining what’s behind it and making them be an active part of this journey. They will learn a lot and never get bored. If you want your kids to behave in certain circumstances while you are in another country on holiday, you’d better talk to them about it before leaving. Some of the situations you are going to experience on vacation are not exactly common and easy to understand for them. Spend some time to teach them how to behave in a restaurant or in a museum, for example, or train them to get used to long rides or walks if this is what you are going to do on holiday. Introduce different kinds of food on your table to get them used to other dishes and cultures. It will be a fun game to do at home for them, but it will pay during the holiday. Don’t forget to have fun. All these rules might help you to keep everything under control, but you should not spend your holiday worrying about what might happen or not. Try different activities with your kids and you will learn more about them and their reactions in different environments. Time fly's by so quickly, that is one thing that has become very apparent since becoming a parent. The days may be long on occasion for one reason or another, but the weeks come around oh so quickly. The weeks turn into months and the months turn into years, and before you know it you are looking back through the memories that you have made, thinking how it was only yesterday that you made them. When the sun rolls down and the moon rises up, it is this time I think about all that has been and all that there will be. As I climb into Leo's little car bed and read him a bedtime story, we laugh and snuggle together. It becomes apparent just how much he has grown, how he has become a little person with hopes and dreams of his own. Once upon a time I bestowed all of my love and affection on a baby boy, and as the years have gone by, this little boy. My little boy, has shown me the most beautiful kind of love and the most magical kind of affection. During this special time when we are curled up in his bed talking and reading stories, he will kiss me out of the blue. He will tell me he loves me and kisses me again. It doesn't matter how fast the world may be spinning us around, those moments will be remembered for a lifetime, even when he is all grown up. Those moments are fleeting but the ones we cherish the most, when a little person who you have raised, demonstrates his feelings and shows that he loves you. He loves you in a completely different way to the way you love him, you are both the center of the others universe but for very individual reasons. As a parent you love him because he is your baby boy, the baby you have raised and are sharing your life lessons with in order to prepare him for the world that is waiting for him. You want only the best for him and would do anything to protect him. Your love means tucking him into bed and reading him his favourite bedtime story, it means kissing him on the head and telling him how much you love him. It means tickling him until his infectious giggle is the only sound you can hear, and it means sneaking back into his room once he is quiet, just to stare as his perfect little face while he is lost among his dreams. He loves you because you are his Mum, the person who is there for him no matter what, you nurture him and encourage him. You help him achieve his dreams and he knows you will help him to feel better when he doesn't feel like smiling. He loves you because you love him and he only knows how to love. His innocence means that love is all that he knows, and that means that I am doing my job, and I am doing it well. When I climb into Leo's racing car bed and he props up the pillow, all the while scooting over to make room for me to lie down. It is my favourite time of the evening. It's a time where it is just us, and it's a time we both look forward to each and everyday. As soon as I tell Leo it is time for bed he shouts 'BOOK!' and runs upstairs. It is our time that comes around once the sun has set and the moon begins to rise, and as the weeks turn into months, and the months turn into years we will still have this special time at the end of the day. 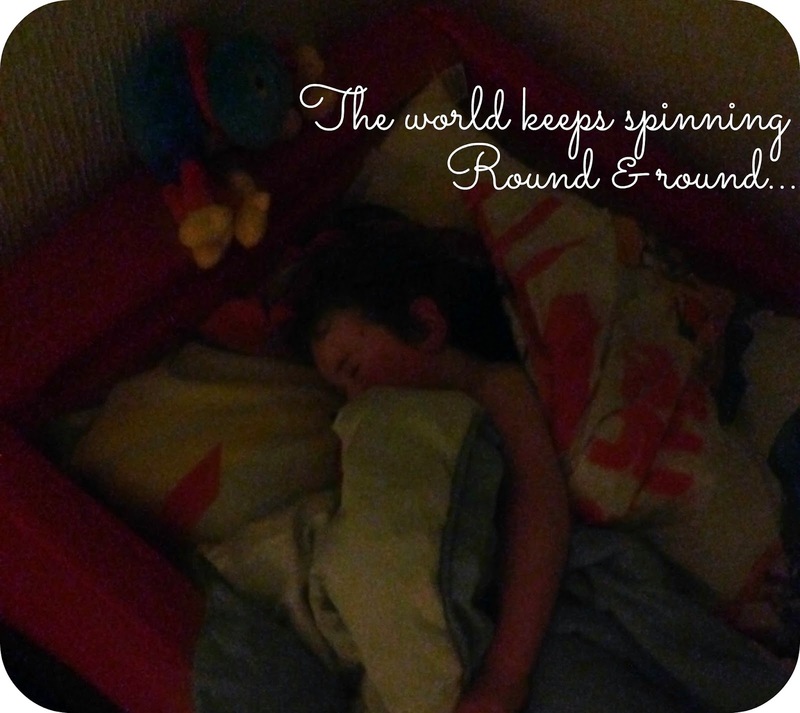 No matter how fast the world continues to spin us around. The phone rang non-stop, emails piled up, a poor performance review made you feel disillusioned and you didn’t even have time to eat lunch. We’ve all been there. Some days it just feels as though the entire universe is colluding against you, trying to break your spirit. Escape the chaos and stress after a long day at work by following these five tips; your body and soul will thank you for it. With a weary mind, tired eyes and sagging shoulders, heading to the gym or local park can seem like a nightmare or an impossible feat. The results, however, are well worth the effort; exercising releases endorphins into the body, creating that natural high you feel when your heart is racing and you’re covered in sweat. 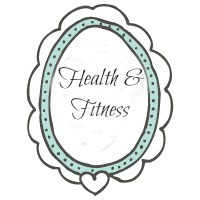 After exercising, you will also experience a sense of accomplishment, satisfaction and pride at what you have done. If lifting weights or cardio doesn’t appeal, opt for a low-impact activity such as yoga, which focuses on being centred and calm. 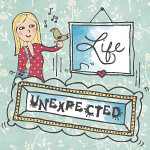 De-cluttering and planning are two effective stress-relievers, creating a sense of space and control. Stacks of paper, mountains of unwashed dishes and items where they shouldn’t be can all increase your stress level. Cleaning up can be a therapeutic process; as you throw out unwanted items and scrub away food particles, you are cleansing yourself of the negative thoughts that have polluted your mind throughout the day. Create space by organising your belongings effectively, using speciality storage items such as display cabinets, cube storage units and shelves; these can all be easily purchased at stores such as Super Amart Australia. Schedule a catch-up with a close friend, spend some quality time with your partner or keep your pet close by for the evening. Hugging, talking about your problems and laughing can all help you let go of the day’s stress. A funny movie or book will also work wonders. Once all the chores are out of the way, dedicate at least an hour to relaxing and pampering yourself. This could involve lighting candles, having a steamy bath, listening to music, watching television or eating half a block of chocolate. Concentrate on rejuvenating and rewarding yourself. Music especially has been proven to alter mood positively; try listening to the classics from composers such as Johann Strauss and Mozart and feel the stress drip away. As soon as you walk through the door, imagine that you have entered a no-contact zone. 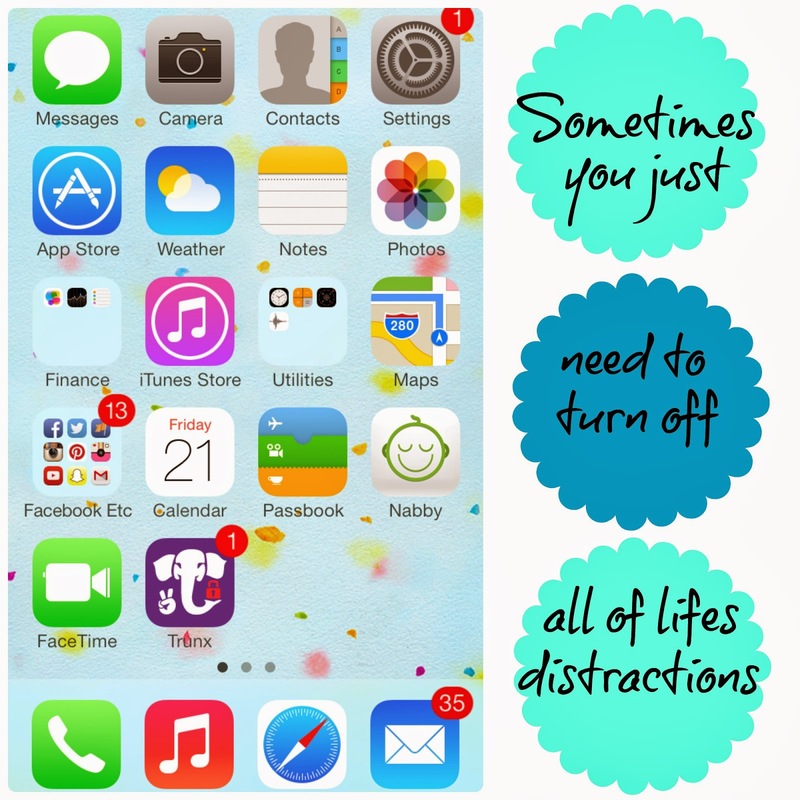 Turn that mobile off, avoid the computer and banish any thoughts of social media. Give your eyes and mind a break by hitting the gym or cooking up a storm instead. Technology can be great, but it can also drain you physically and mentally. Next time life leaves you a little bruised, use these techniques to de-stress and you will wake up with new purpose and energy. Do you have any tips to add? What works best for you? You may have noticed a number of children in fancy dress on Thursday 6th March? They weren't just any fancy dress costumes, they were in celebration of World Book Day. Those costumes represented the children's favourite storybook characters and I was really impressed with the thought and imagination that went into each of the costumers that I saw. I used to read many books as a child, and I could often be find with my face stuck into a good story. I wouldn't put it down until I had devoured it cover to cover, as the years have gone on I have found less time to read books of my own, but I understand the importance of books and love to sit down with Leo and read to him. We tend to cuddle up for some quiet time just before he goes to bed, we crack the door open and let the light from the hallway creep in. We snuggle down under the duvet with a book chosen by Leo and we read it together. Leo is really enjoying his story books these days and loves picking out books that he wants me to read to him. 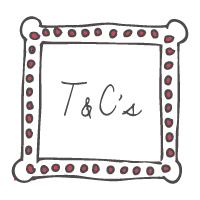 I am looking forward to introducing some older books, books that I adored as a child. The Magic Faraway Tree is on my must read list for him, and I think that in the next few years he will fall in love with the book for the same reasons I did as a child. 1.) 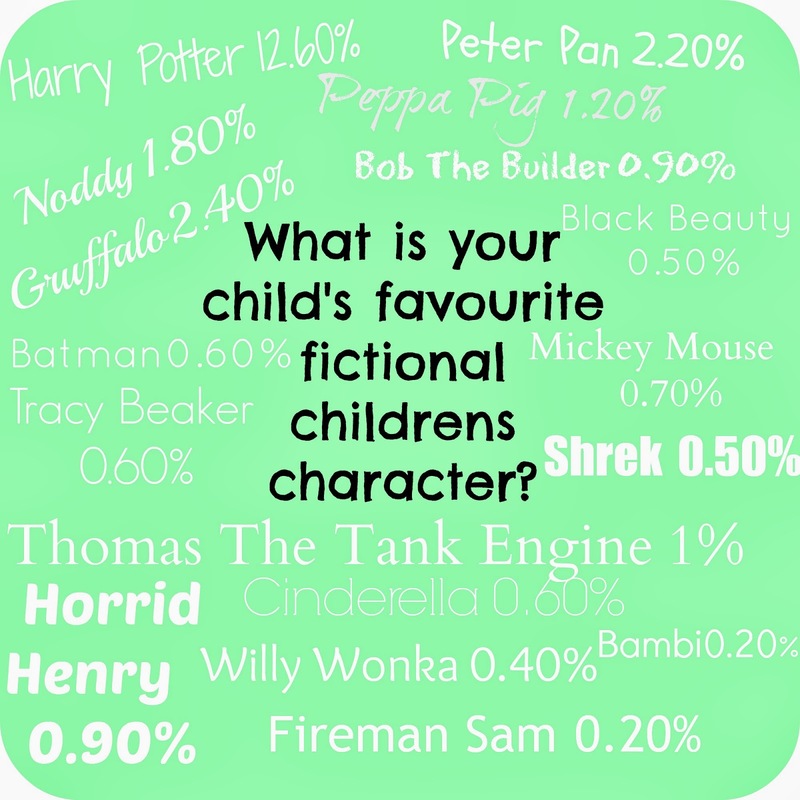 Dress up as the characters from your favourite books with your child for story time. You don’t necessarily need expensive outfits, whip out the face paints and get creative! 2.) Discuss the book after reading; did your child enjoy it? What did they learn? Would they like to read it again? Who was their favourite character and why? 3.) 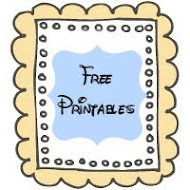 Read out loud and give spirit to the characters – make it a family affair! 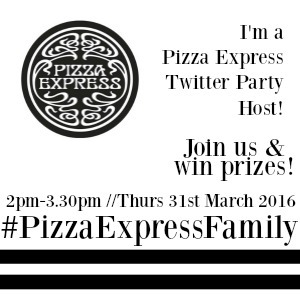 Whether that be mum, dad or a grandparent children will relish the opportunity to spend time with the family. 4.) A great incentive to get your child reading is to watch the TV show or film on Netflix after you have finished the book as a reward. Books play such an important part in child development and paving the road for just letting their imaginations take flight. I have read books in the past that have been later adapted into films, and I have been blown away with the seeing my favourite books being brought to life. I was there in the cinema for the very first Harry Potter film, and was just completely awe struck, this magical world that I had read so much about was now on the screen before my eyes. 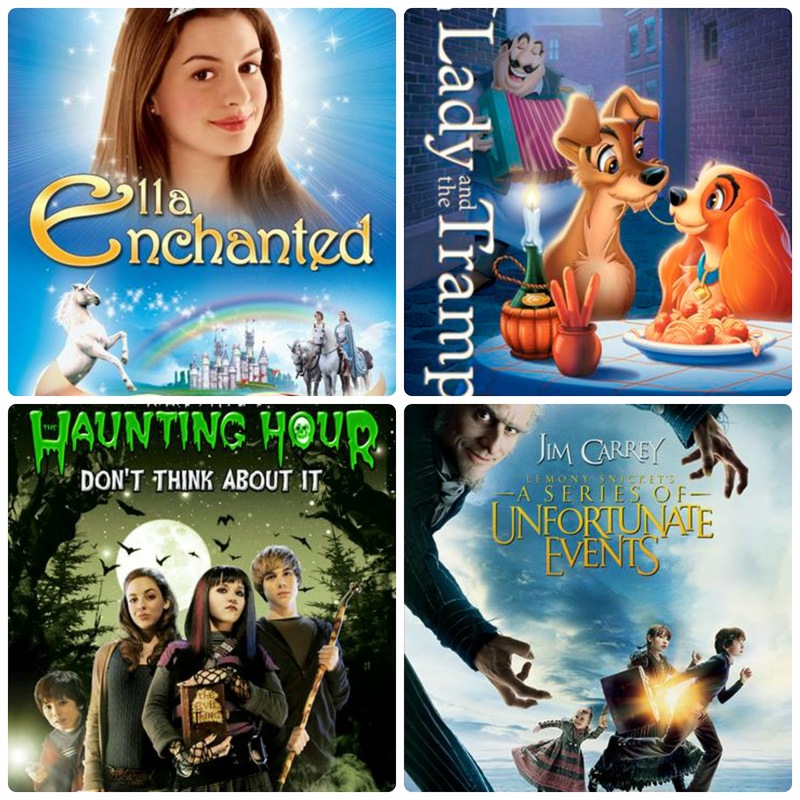 Netflix have a fantastic selection of TV Shows and film adaptions to some very much loved storybooks that the whole family can enjoy. Leo has been loving Thomas and Friends, and he has even been borrowing my iPad to sit in the tent in his room, snuggled up with his blanket. For the older kids (and myself...) there is R.L Stein's The Haunting Hour. I absolutely loved R.L Stein in my younger years, especially the Goosebumps books! 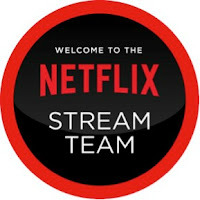 I couldn't resist sitting down and watching this when I saw it was available to stream, although Leo is a little young to appreciate this right now, there will come a day that he will be just as into it as I once was. 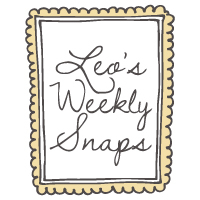 Other titles that I have been enjoying with Leo this month are Little Bear and Lady & The Tramp, and for myself I have been catching up on The Vampire Diaries. My love for this show is no secret and It has me watching one episode and then another.. and another. 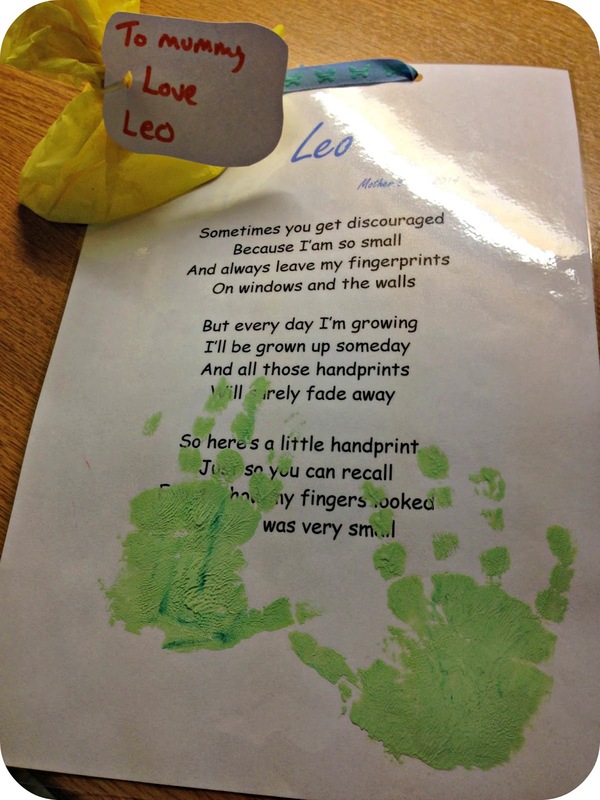 We are coming up to two months since Leo started attending nursery one day a week. He has gone from being incredibly excited about the whole experience to not wanting to go at all. I guess the excitement of the experience has worn off and it has become a routine that he would rather not participate in, and this is why we have decided to put Leo in a extra session during the week in a hope that he will settle in. 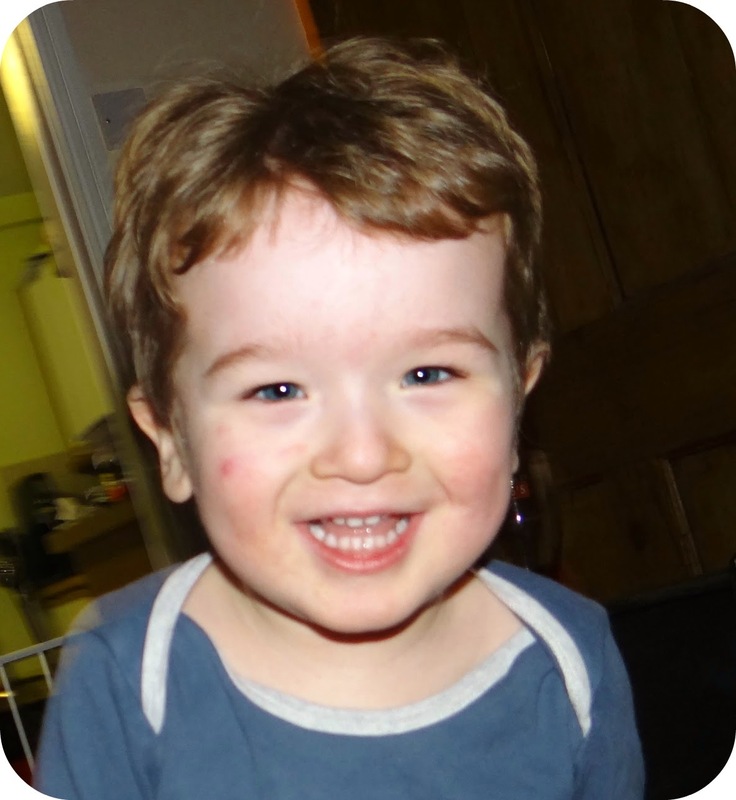 Leo will be now attending nursery on a Monday morning and a Friday afternoon, so that he can get used to being there on a more regular basis so that when he gets his nursery funding in September, it won't be such a big shock to the system.. Or that is the hope anyway. Leo recognizes the way to nursery, and spent the whole car journey today telling Granny 'no school, no school!' until he got there and realised that there was no point protesting. He even told me today that his ear hurts, he is cottening on to how being ill means he won't have to go. I had to make sure that Granny warned the nursery staff that he may try to pull a fast one! Once Leo is at nursery and Granny has gone, he settles in and has fun, but as soon as Granny returns to get him, the water works start again. The most important thing is that he is happy while he is there, and for the most part he is. 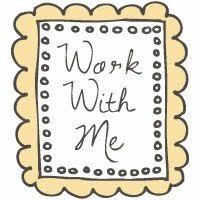 It's a lovely nursery and the ladies have taken him firmly under their wing, and that is why they have offered Leo this extra session a week now it has become available. 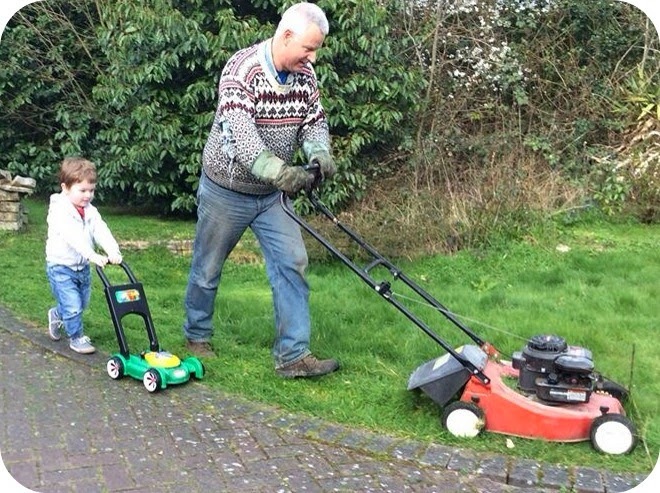 They hope that it will help him ease into nursery life that little bit faster. I think this extra session will certainly help Leo, and the fact it falls on a Friday which is one of my day's off from work may be a good combination. At the moment for the Monday session, I drop Leo at Granny's before heading off to work, and Granny takes Leo to nursery. On a Friday I will get to take Leo to nursery and I will be the one who gets to pick him up. I think this will do us both the world of good, as I have felt like I am missing out on being a parent at the school gates. I don't get to see Leo within the nursery environment and I don't get to see how he is interacting with the other children, I don't even know if he has made any friends. It isn't just going to help Leo settle in faster, it is going to let me see a side to Leo's life that often just passes me by. I will get to be the first person to see how he has got on that day, I will see the where he hangs his coat and see the arts and crafts that he makes during his sessions. I have been talking to Leo about the extra nursery session and at the moment he is adamant that it's not happening, but I think once it becomes more of a regular thing he will begin to love it all again. After all persistence and perseverance is the key. Leo starting nursery has highlighted to me that I miss out on some of the simplest pleasures that other parents may often take for granted. Other parents, other Mum's get to be the ones to take their little ones to nursery and school, but I don't have this luxury on a daily basis. It has got me thinking 2 years ahead to when my growing boy starts school, and I know that this is something that I am going to want to be a part of. I want to be the one to take him to school and pick him up at the end of the day. I want to be the one who he tells all about his day and the things that he has done. This may mean I re-jig my working day around, after all I wouldn't need to be part time if Leo is in full time education. I have seen such a change in Leo since he started nursery, some of the changes have to be down to the the nursery and I can tell that this extra session is going to continue to spur him on wards and upwards. Earlier this month on March 6th World Book Day took place. World Book Day is an entire day dedicated to books, and is a fantastic excuse to get the kids dressed up as their favourite characters from their favourite storybooks. 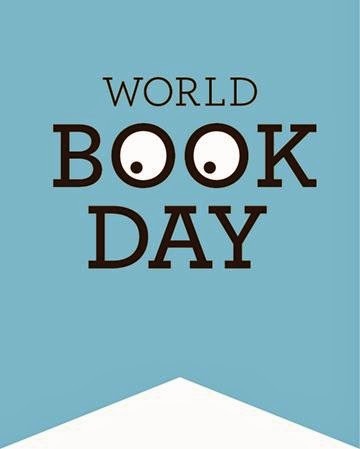 This year marked World Book Day's 17th year running, and the purpose of the entire day is to encourage children to crack open a book and enjoy the wonders that can only be explored through the joys of reading. I can remember taking part in World Book Day as a child and I have fond memories of getting all dressed up in honor of my favourite characters. Over the next few years I will be taking part again, now Leo is getting older and is at nursery we will be getting more involved in exciting occasions such as World Book Day. Although this year we didn't take part, I did enjoy watching all of the other kids getting involved over my social media timelines and I was really impressed to see the effort that had been put into each costume. I spied Hermione Granger from the ever popular Harry Potter Series, Where's Wally!? and many more fantastic costumes. It was nice to see that there were even characters from older pieces of literature that were running along hand in hand with more modern stories. Winnie the Pooh was one of the familiar faces that I saw cropping up, along with Pippi Longstocking and Peter Rabbit. 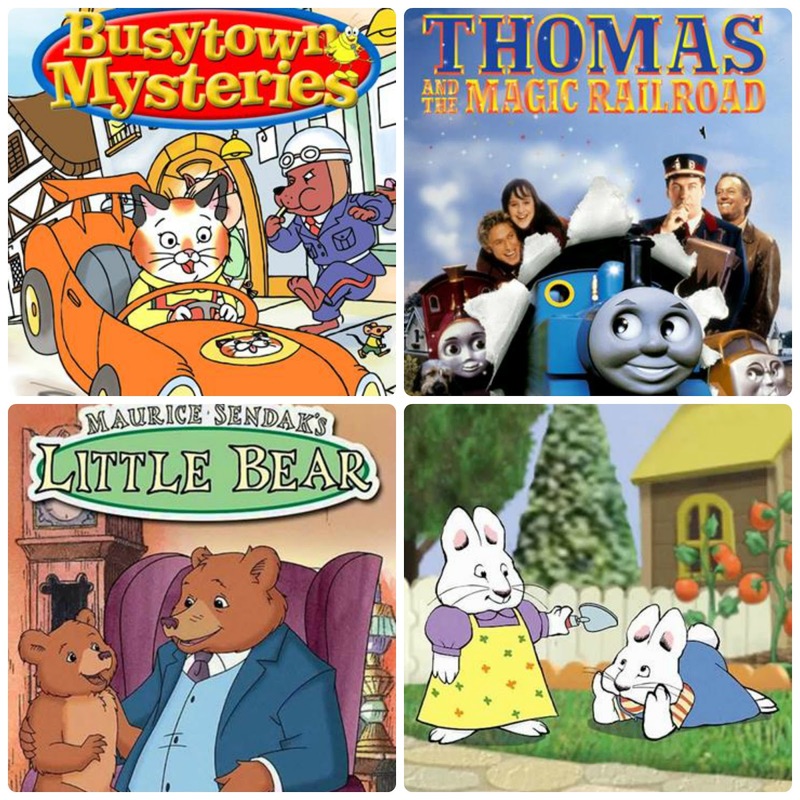 It just highlighted for me that the books that I used to enjoy as a child are still as loved today as they were back then. I have been having a look at some data that has highlighted some of the most popular costume choices this World Book Day. You can have a look at a few of the examples below. Among them are characters from older pieces of literature, and more modern characters from books of recent years. Is the costume your little one wore among the list? At the end of last month I was invited along to the London ExCel Baby Show with iCandy, a British pushchair brand that has 80 year’s experience within the nursery sector. iCandy kindly offered to demonstrate the new 2014 collection and let me have a sneaky first look at the upcoming releases. 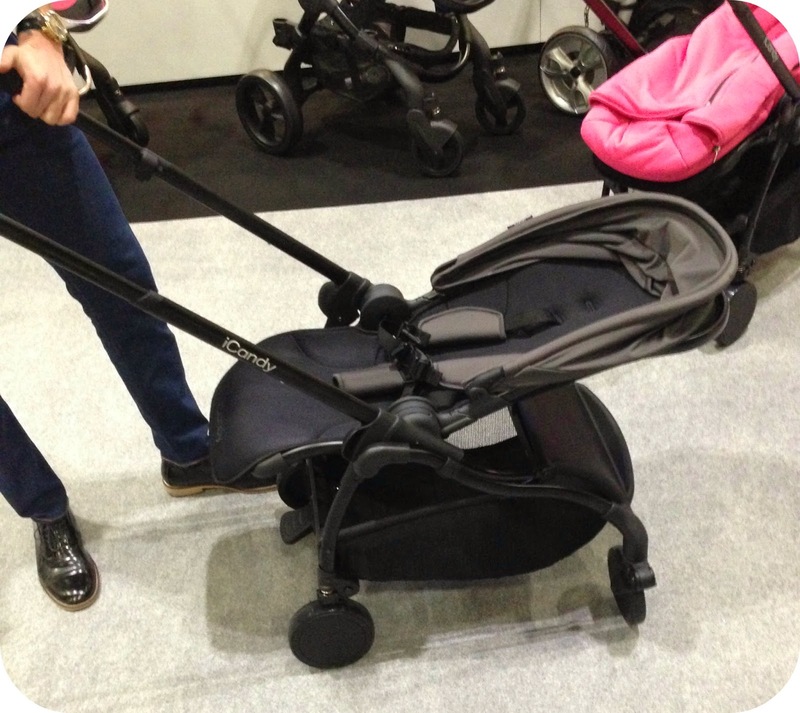 iCandy have big plans for 2014 and of course this can only mean beautiful new designs set against the practicalities that we as parents always look for when in the market for a new pushchair or stroller. iCandy always take the smallest details into consideration and this for me really shone through when they first showed me the brand new Raspberry. I first saw the Raspberry back in September when I went along to the 80th birthday bash, and although I didn't get to have a play up close and personal on that occasion, I still marveled at just how easy on the eyes it was. The Raspberry is completely different to anything else that iCandy have ever done before, it doesn't look like any of the other models currently on the market and I think this is why it is going to be welcomed with very wide open arms. The Raspberry is a light weight stroller perfectly adapted for urban use, it can be used from birth thanks to its generous recline and although looking completely unique among the other iCandy models, you can certainly tell it is part of the family. The iCandy team demonstrated the Raspberry to our eager group, and looking around I could see that we were all very taken with the latest design. The well padded seat, the generous size of the hood and the different colour’s available (particularly Sunflower) make this a very attractive model. 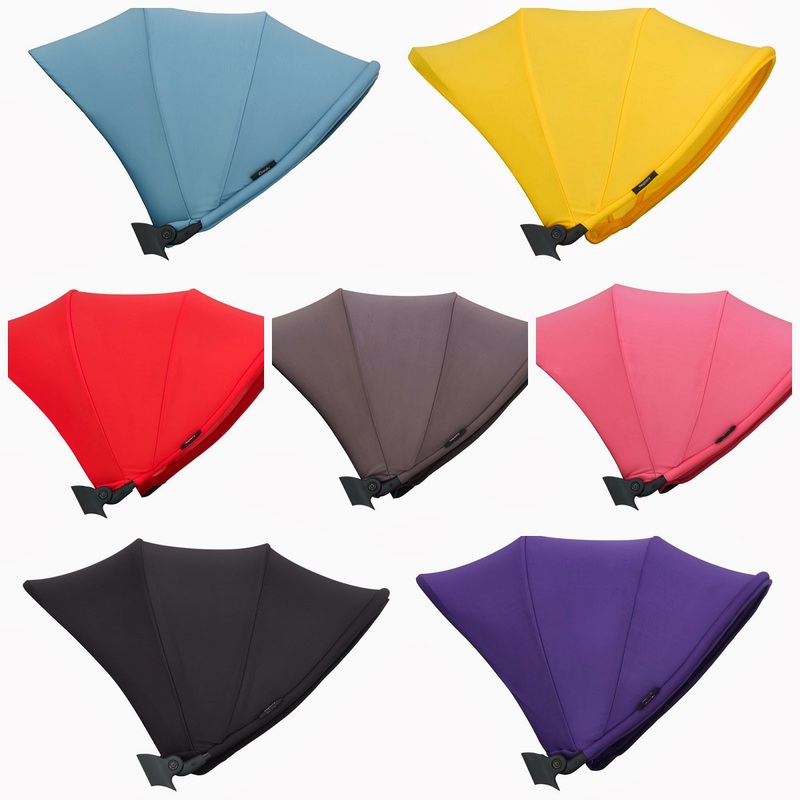 In total there are 7 vibrant colours to choose from, and a choice of natural brushed aluminum or matt black frames. The coveted logo is being lasered onto the frame to ensure that it doesn't get chipped away over time, you know the everyday wear and tear that ultimately cannot be avoided. 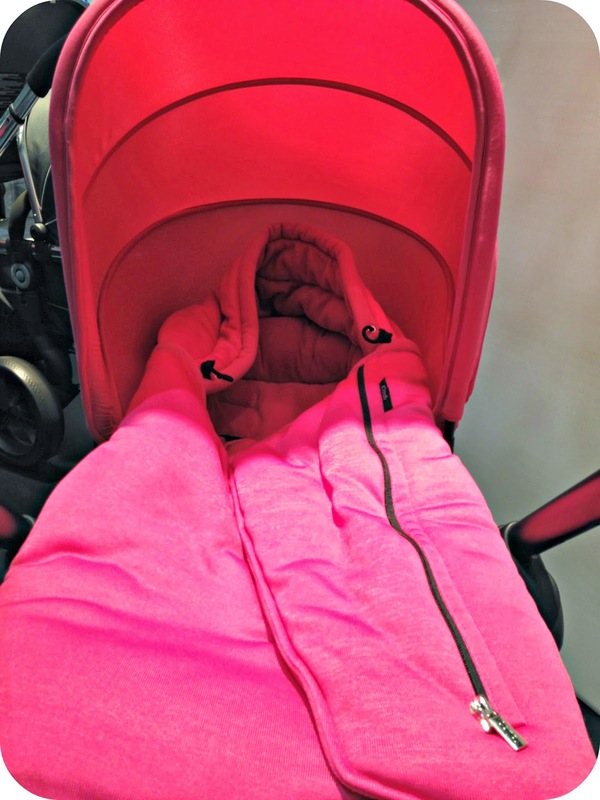 The stroller can fold with the seat unit in place, a feature that for me is essential, and it even folds in such a way that the seat until will be protected from muddy wheels! 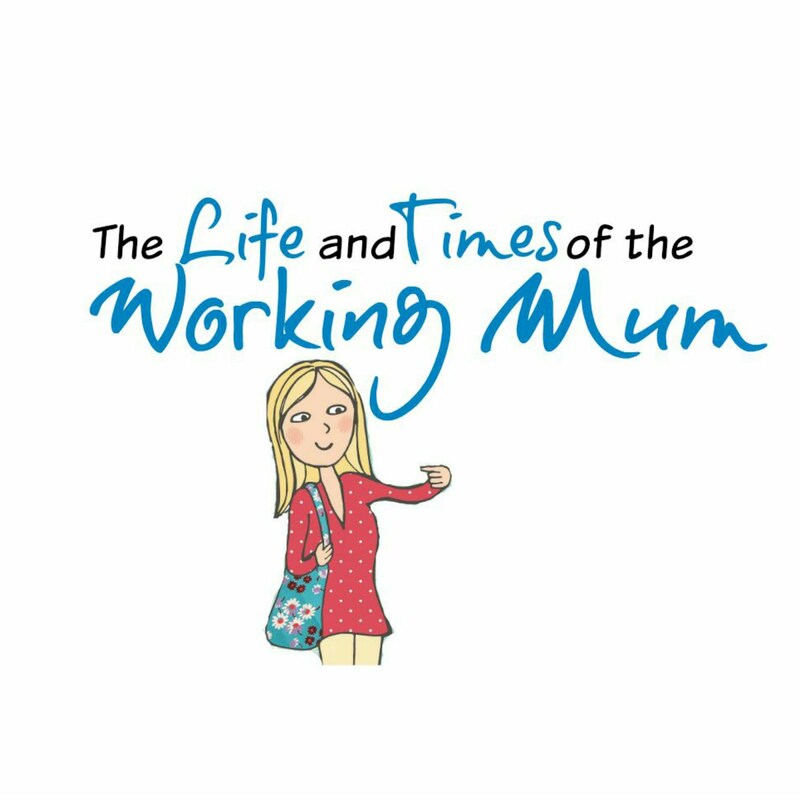 It is no secret how precious I can be about my pushchairs... and It was only the other day I was there with the baby wipes wiping down the muddy wheels before stowing it back into the car! The wheels on the Raspberry are perfect for city strolls and are different to anything I have come across before. I can only describe them as like a hard gel, they are state of the art wheels to compliment the rest of the innovative Raspberry. They each promote indpendent suspension to ensure smooth strolling! 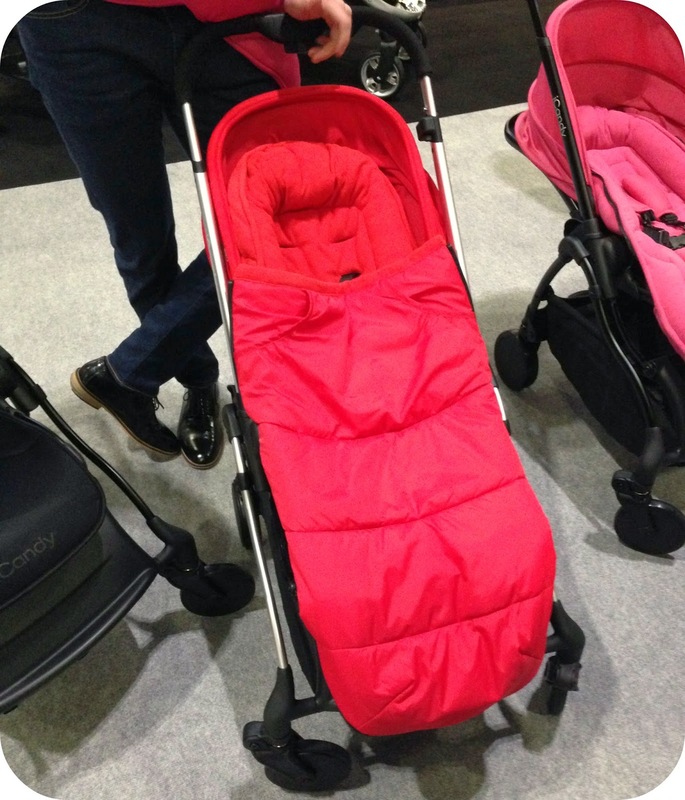 What I really like about the new Raspberry is that it is a pushchair choice that will see your baby through from the newborn days, right through to an age where pushchairs are no longer a necessity. In my experience you have the big full size pushchair for the first few months and then you decide to down size pretty quickly. You realise that you don't want the hassle of carting a big pushchair around and opt for a smaller easy to transport model. The Raspberry is such a great size and weight that it is exactly what we were looking for after we decided to downsize when Leo was around 5 months old. 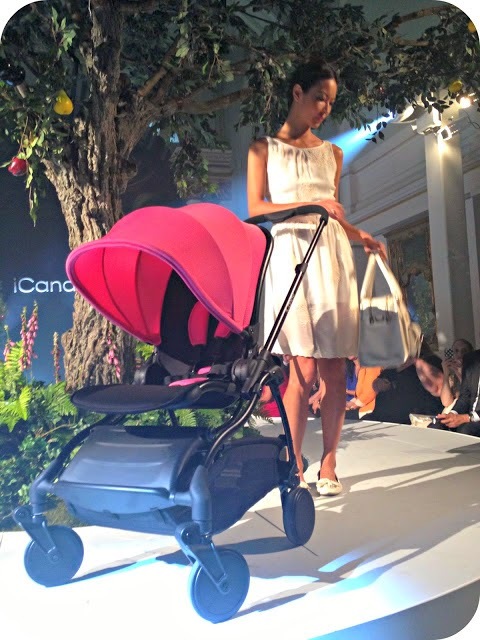 I think this will be a great contender for families looking to join the iCandy family but don't want to break the bank with their pushchair choice, and still get the consistent quality that iCandy are famous for. The Raspberry is ultimately a pushchair that has been designed off of feedback collected from parents just like you and I. A sure sign that iCandy are listening to what real parents want, and they have taken everything we have said... and given us the Raspberry. 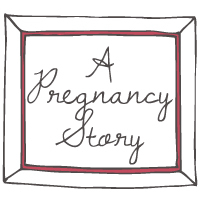 The Raspberry will be launching in the summer of 2014, so there is not much longer to wait. It won't be long before the 7 vibrant colourways take to the streets. The iCandy Raspberry will be retailing at £460.00, and a whole range of accessories will be available to purchase separately. Disclaimer: I was not compensated for writing this post. All views and opinions are completely honest and my own. It is no secret that when it comes to washing up, I am a little particular about how it is done. I have mentioned in the past how I just cannot stand Luke donning the rubber gloves and poising himself at my sink. It is though he takes the dirty washing up from the ‘dirty’ side of the sink just to merely place it on the ‘clean’ side after dipping it in tepid water. Of course I see the pile of washing up sitting there on the ‘clean’ side taunting me. Before long I am stood at the sink running the hot tap on full, squirting the washing up liquid and washing everything all over again, only this time… properly. Washing up very quickly became my job under my own request, and I wished that we had the room for a dishwasher so that we could simply let the machine do the dishes. Our kitchen has two spaces for large kitchen appliances by the sink, and we already have a washing machine and a dryer, this leaves us no space for a full size dish washer. I discussed the possible options with Luke and presented the idea of a compact dishwasher, which would simply sit on the work surface by the sink and make our lives so much easier. I finally convinced him that it would be beneficial for us and save us so much time in the long run. 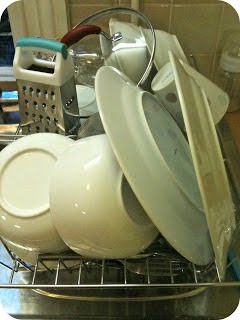 You would be surprised at just how much washing up can accumulate within a small family of three. Having a browse online at the different compact dishwashers available at Argos gave us an idea about what each one had to offer, we decided to go for the Indesit ICD661. This is a compact dishwasher doesn’t take up much more room on the counter than a microwave and features 6 place settings over one shelf. You may be surprised just how much you can fit inside this compact model, I know that I have been and in the few weeks that we have been using it I have been nothing but impressed. Installation fell into a list of Luke’s jobs, but Indesit would have actually fitted it for us. As I am out at work during the week I had actually provided my parent’s address as our delivery address, so we opted to just have the dishwasher delivered and installed the machine ourselves. As we already have two machines under the sink Luke had to order a few parts to be able to plumb the dishwasher in. As Luke had anticipated this he got everything installed pretty quickly and we were soon up and running with our new machine. My first impressions of the Indesit ICD661 were that it was well made and didn’t look to garish up on the work top as I had initially worried. It is comparable to a large microwave, but where we have it positioned in the kitchen it really isn’t taking up any space that we would have previously used. Opening up the door to have a look inside the dishwasher I did wonder if our large dinner plates would fit inside. Not yet having any washing up to put inside, I grabbed a dinner plate from the cupboard to see if it would fit or not. On first attempt it seemed like a really tight fit, and I was even more sceptical as to whether they would actually fit inside. I realised that the plastic stackers where we slide the plates can actually be re-positioned to allow for bigger plates. This seemed to do the job and allowed us to position the plates inside, now although it is tight, our dinner plates do fit. They are definitely borderline but we can load them into the dishwasher. With the plate dilemma now solved I continued to have a look around, we have a cutlery holder, shelving for cups and large utensils and room underneath the shelving for additional cups. I always knew that having a compact would mean that we couldn’t fit everything inside that we would be able to in a full sized model and I always knew that we would always have a little bit of washing up at some point or another. But since we began using our compact dishwasher I have been really impressed with how much we can actually fit in each load. We tend to put it on once each day, usually in the evening with all of that days washing up. A typical load will consist of dinner plates, side plates, Leo’s toddler plates, cutlery, a multitude of different sized glasses, mugs and kitchen untensils. We can fit the majority of everything that we have used in one wash including our medium sized pan, and I think our compact dishwasher definitely meets the demands of our family of three. What we can’t fit inside the dishwasher are chopping boards because of their height and width, bigger pans (or we probably could if we didn’t put anything else in..) and our wok. These are all the items that we actually have to wash up by hand these days. There are 6 different programs that you can choose between for each unique wash load. We have been using program 2 for normal washes, we tend to rinse everything down anyway before we put it in the dishwasher so this does the trick for us. The running time for each program varies but as we are putting each wash on in an evening we don’t really notice how long it takes. The machine runs quietly and if you happen to turn the machine on and suddenly realise that you have neglected to load an escape plate, you can pause the wash, open it up and pop the plate inside. It even beeps when the cycle comes to an end so that you know your load is finished. Going from washing up by hand which can take a considerable amount of time to using a dishwasher, really has been a welcome relief. 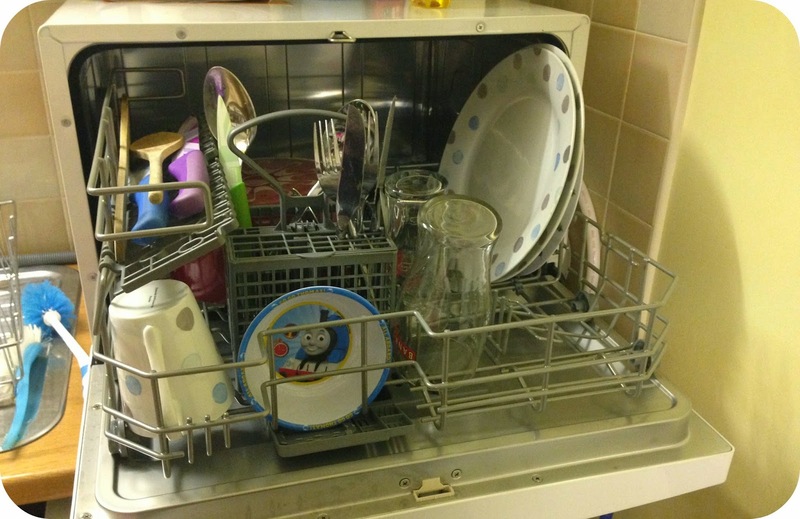 It has certainly made me appreciate my dishwasher on a whole other level, we load it as we go along so that once it is full it is just a case of choosing the desired setting, turning it on and leaving it to do what dishwashers do. 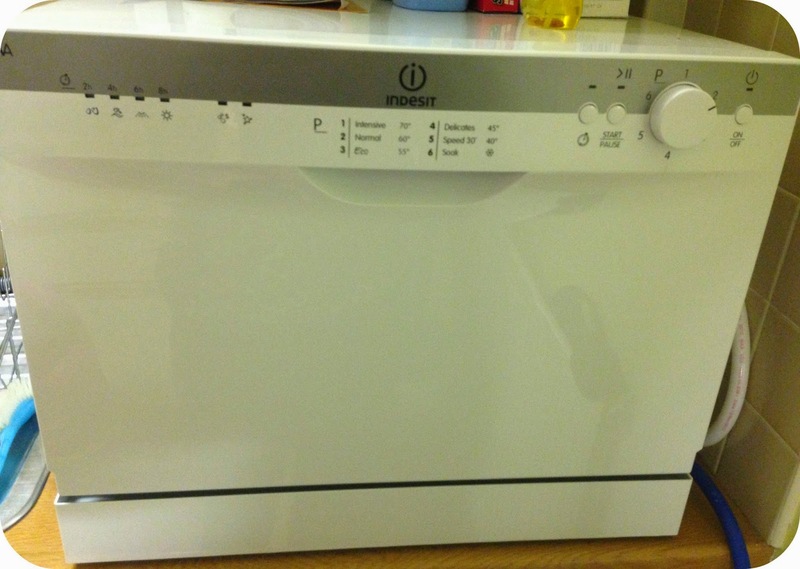 For the price of the Indesit ICD661 I think it is great machine, it saves me time and leaves everything clean and ready to be put away in the cupboards. For the compact size of the dishwasher we can fit pretty much fit everything that we need to in one load. My only negative point on this model is that it is a tight squeeze to put our dinner plates in, and it would maybe benefit from being a little bit taller just to accommodate for the different sizes of dinner plates. Aside from this I really love it, and once you get used to how to load this machine it becomes second nature. We are very pleased, and I love being able to do my washing up… Hands free! 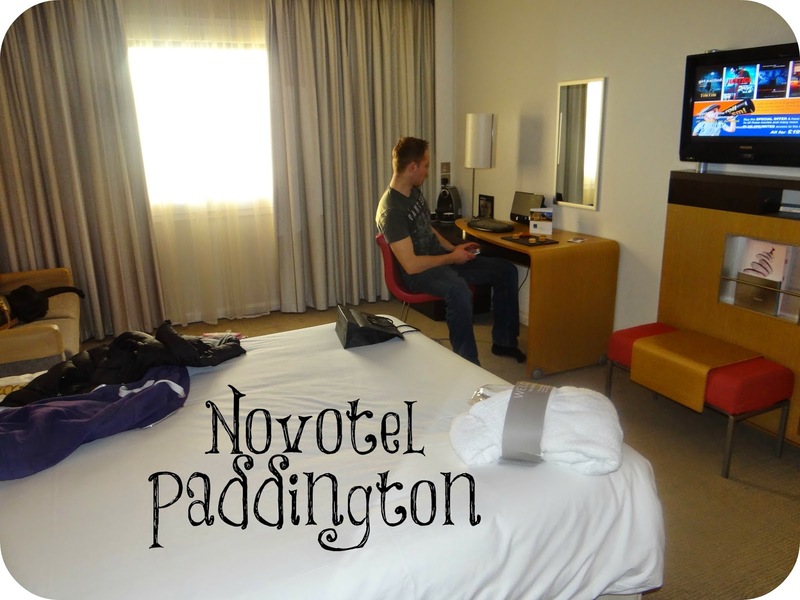 Recently Luke and I were invited to stay at the Paddington Novotel Hotel, it was a weekend that we were really looking forward to. Leo was staying with his Granny and we were off on an exciting weekend in London, just Luke and I. It was all planned out and we were going to be visiting a few attractions on the Saturday and then squeezing some more in on the Sunday before we hopped on a train back to reality. As with everything though, sometimes plans don’t go as they are supposed to. A couple of days before our trip, I came down with a virus. I was full of cold, I ached from head to foot and I was going from hot to cold. I was determined that this wouldn't stop us from visiting and dosed myself up with everything that I could take. On the morning of our weekend away I noticed that I was now suffering with a pain in my ear. A pain that could mean only one thing… There was a potential ear infection on the way. We traveled to London by train and decided that as it was a special occasion we would treat ourselves to the First Class experience. Upon arrival at Paddington Station we decided that our first port of call would be the hotel, so that we could drop off our suitcases and head out into London for the day. We knew that the Novotel Hotel was within walking distance to the hotel so we took the short stroll. The location of the hotel for me was the first aspect that I loved, it gave us the flexibility and the means to get all over London using the Tubes and saved us on Taxi fares. It took us around 5 minutes to walk to the hotel from the station and even with luggage this wasn't a hardship. Upon arrival at the hotel the reception team were very welcoming, took our names and advised us that our room was not quite ready just yet. They offered to take our bags and locked them away securely in a cupboard close to the reception desk. They wished us a good day and told us that when we returned our room would be ready. With our bags safely locked away at the hotel, we were looking forward to visiting the London Dungeons, we took the short walk back to Paddington Station and hopped on the tube. The London Dungeons are a short tube journey on the Bakerloo line to Waterloo. Once at Waterloo there is a great array of different things to do, from the London Eye, the Aquarium and of course the Dungeons. Around this area alone there plenty of cafes and places to grab a bite to eat, so it is very easy to spend an entire day there. With me dosed up on Paracetamol we thoroughly enjoyed the Dungeons, it took us a few hours going around and we were suitable jumpy by the end. I even got picked out and put in a cage at one point during the tour! After the tour ended I was starting to feel the effects of the pain relief wearing off, and we decided to head back to the hotel so I could have a rest. The room was now ready and reception happily directed us on how to find our room. We were in an Executive room and used the lift to get up onto the correct floor, it was easy to find thanks to the clear instructions and the readily available room numbers labelled on each door. We entered our Executive Room and were really pleased with the amenities available to us. Novotel had thought of everything and there was even the facility to plug in your MP3 Player and enjoy your own music. The first thing I found was the dressing gown and slippers that had been laid out on our bed, I slipped it on and collapsed on the bed and planned on an immediate nap. The Executive rooms offer lots of space with a Queen sized bed, they have an en suite equipped with both a bath and shower. There is a sofa bed in the lounge area, a desk so that if you are away on business you can get on with your work in comfort. Each room has a 26" LCD television with pay movies and internet access. Under the desk you will find the hair dryer and over by the door there is a mini fridge. 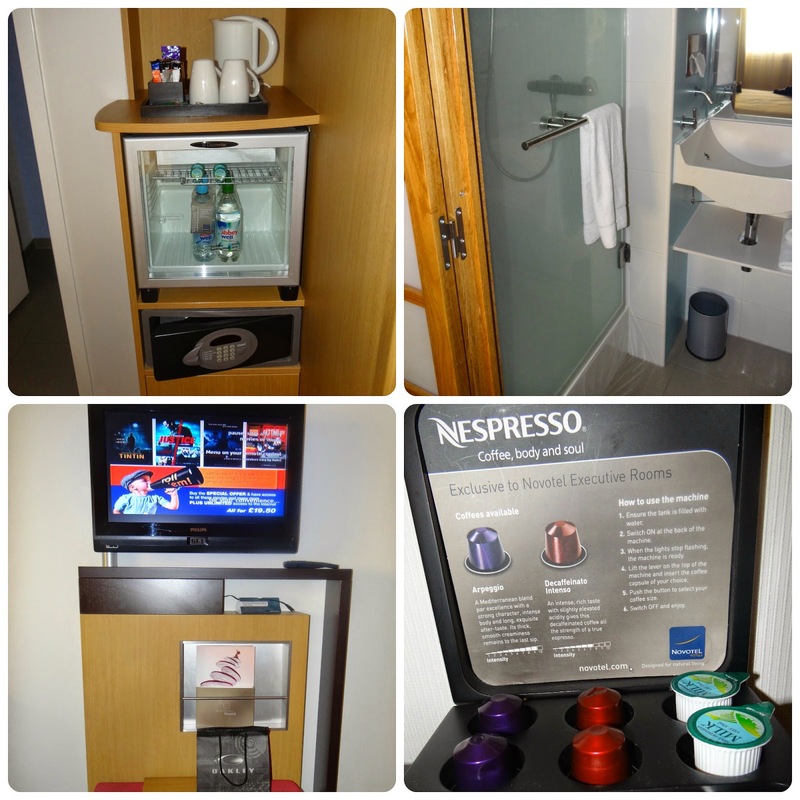 - Tea and Coffee making facilities. Including a Coffee machine. Our room was clean and well kept and we even got a call from the on duty manager to make sure that everything was ok with the room. 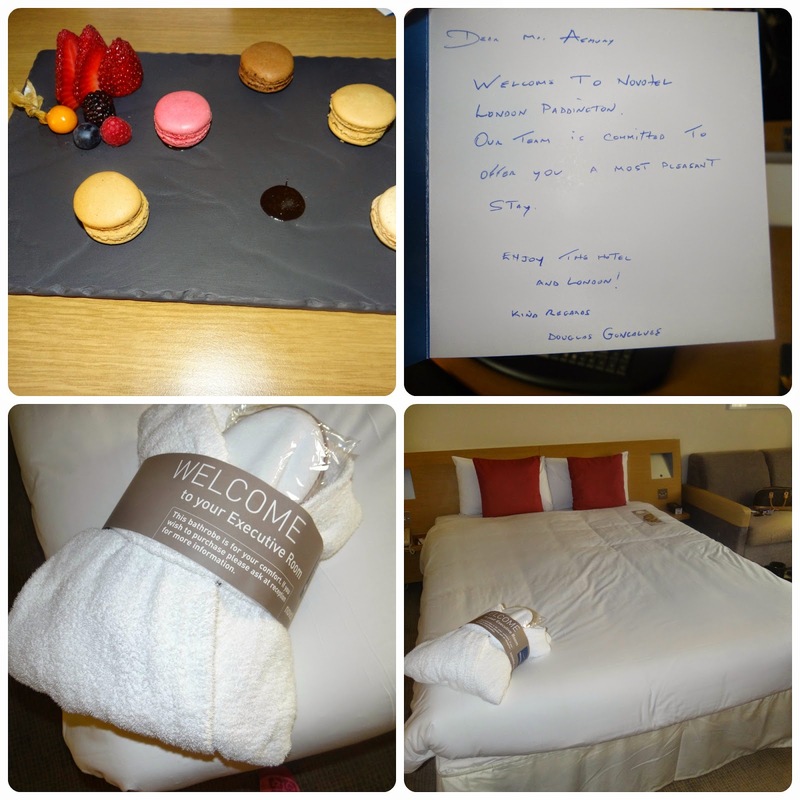 I thought this was a lovely touch and was really impressed with the attention to detail and guest care. We had planned to go out for dinner and make the most of the London nightlife but with my ear pain getting increasingly worse, I soon found myself tucked up in bed with the television and ordering a take away. I was really disappointed that I couldn't follow through with our plans to visit the Ice Bar and have a few drinks with Luke, but feeling as horrid as I did... The only place for me was tucked up in bed feeling sorry for myself. I found the bed comfortable and aside from waking when my paracetamol wore off, we had a very comfortable stay. We were booked in for breakfast but come the morning I really didn't feel like eating, so unfortunately I cannot tell you about the breakfast. 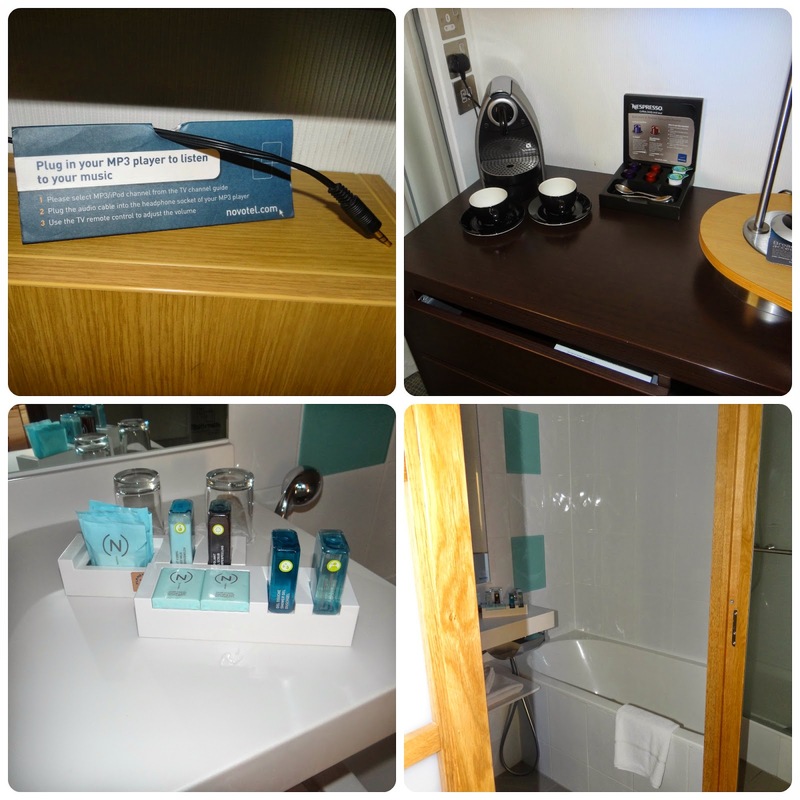 But if it is anything like the service we received throughout the rest of our stay, I have high expectations for it! Our original plan was to make the very most of our Sunday in London, we were going to see some more sights and make use of the hotels central location. Luke wanted to visit the Natural History Museum and we were going to find a lovely restaurant for some lunch. But of course the plans changed when the paracetamol no longer touched the pain in my ear.. So we found ourselves on the train home so I could head back to bed again..
Aside from my being poorly we had a lovely stay at the Paddington Novotel, I found the hotel fresh and modern with attentive staff. I loved the location as it was so central to everywhere we wanted to go, it meant we didn't have to worry about taxi's and just tubed it all over London. I will definitely be staying with Novotel again, and I will be making up for feeling so poorly during our visit at the next available opportunity. 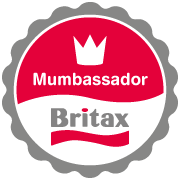 Disclaimer: We were invited along to the Paddington Novotel and provided with complimentary accommodation. All views and opinions are completely honest and my own.